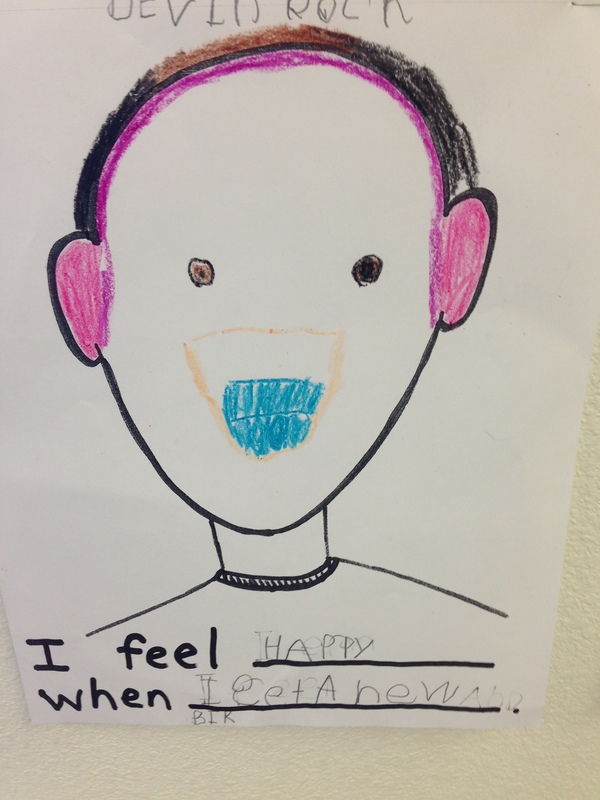 As part of our back to school unit, we’ve been talking about what it means to listen and to express our feelings. 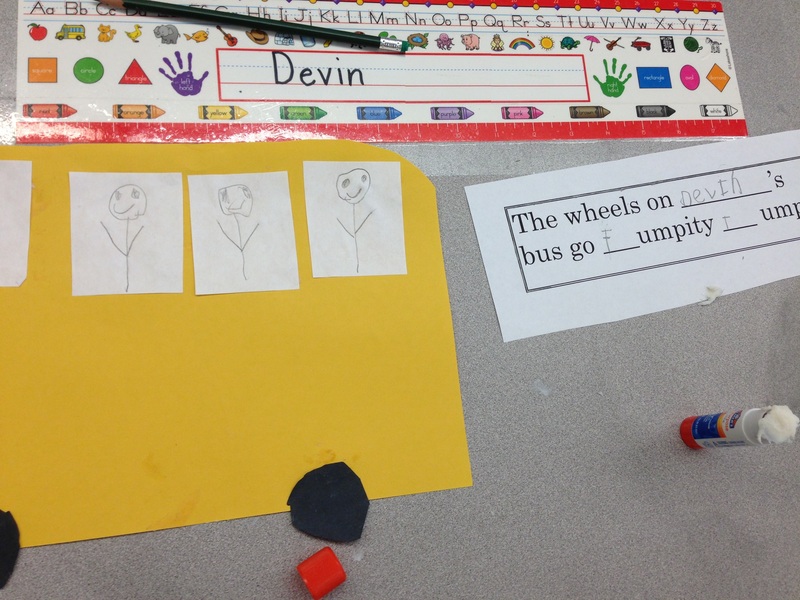 Yesterday we talked about listening to others and being a good friend. 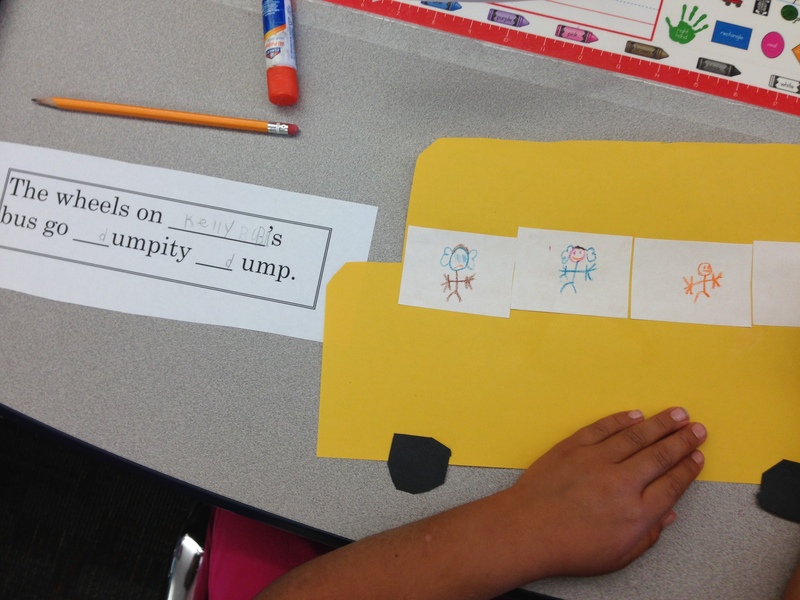 Today we talked about expressing how we feel and why. 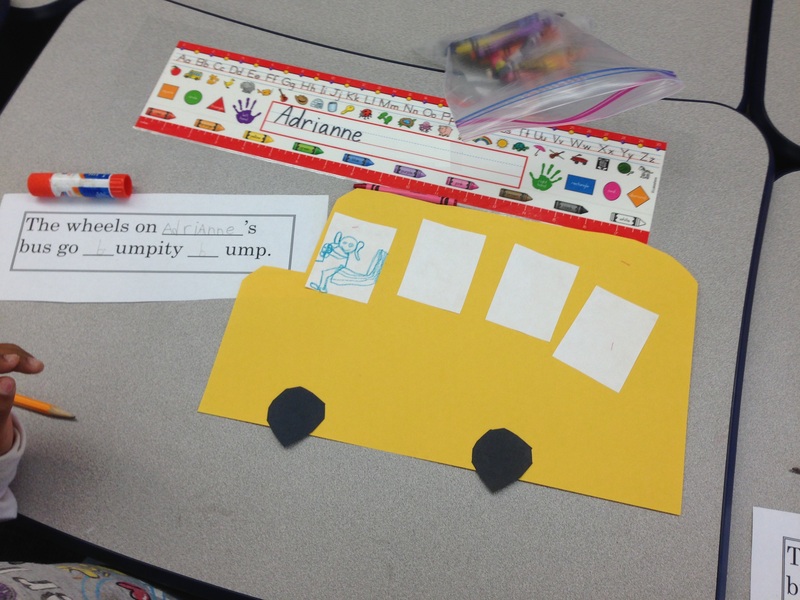 We taught I messages and how we feel when certain things happen. 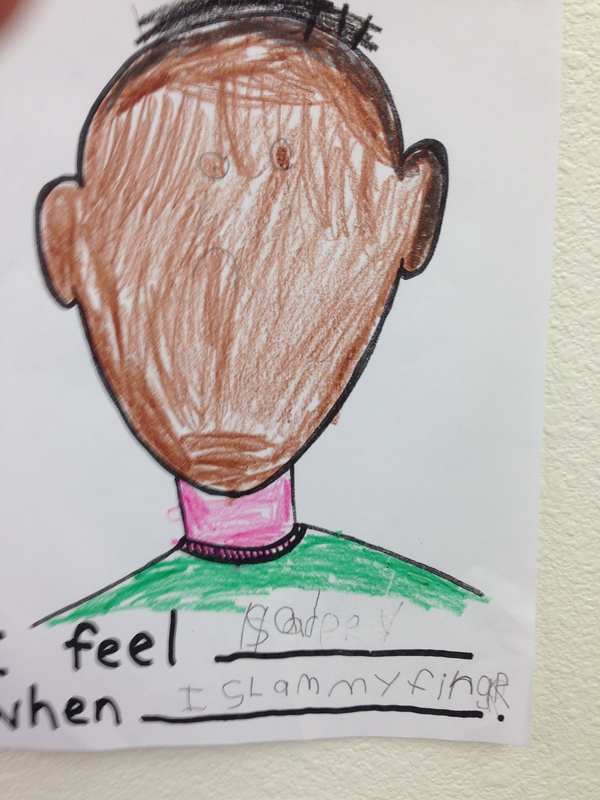 Students practiced saying those sentences to each other and completing a self portrait. 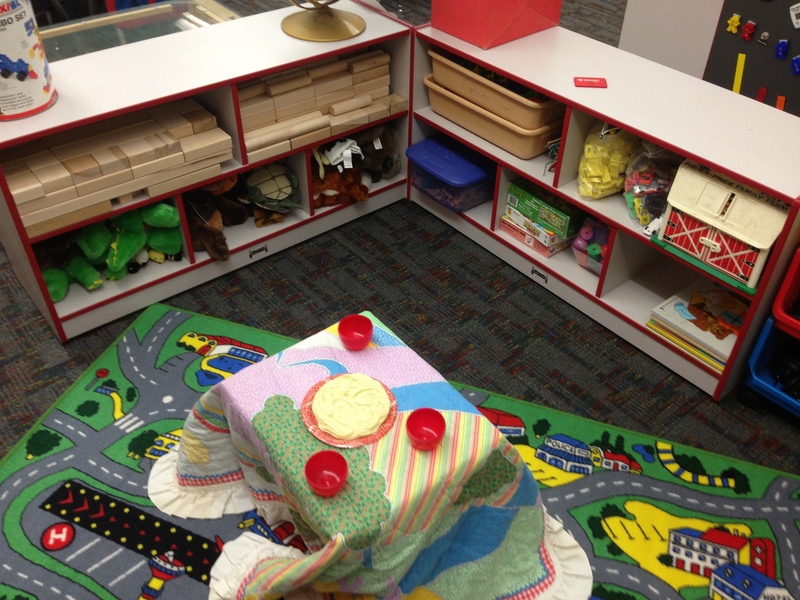 On top of my workshop I have centers throughout the room that children have the ability to go explore and learn through play. 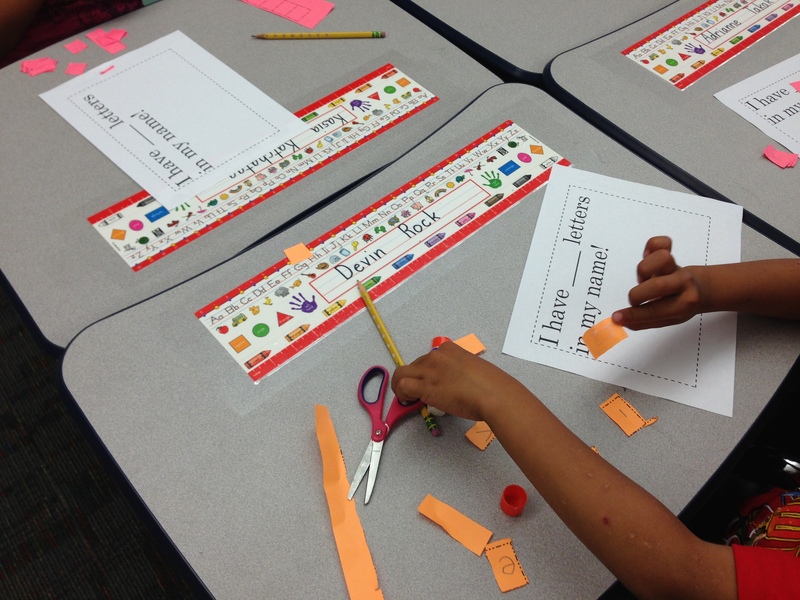 Each student choices a center by taking a clothespin with their name on it and clipping it onto a sign that matches that center. 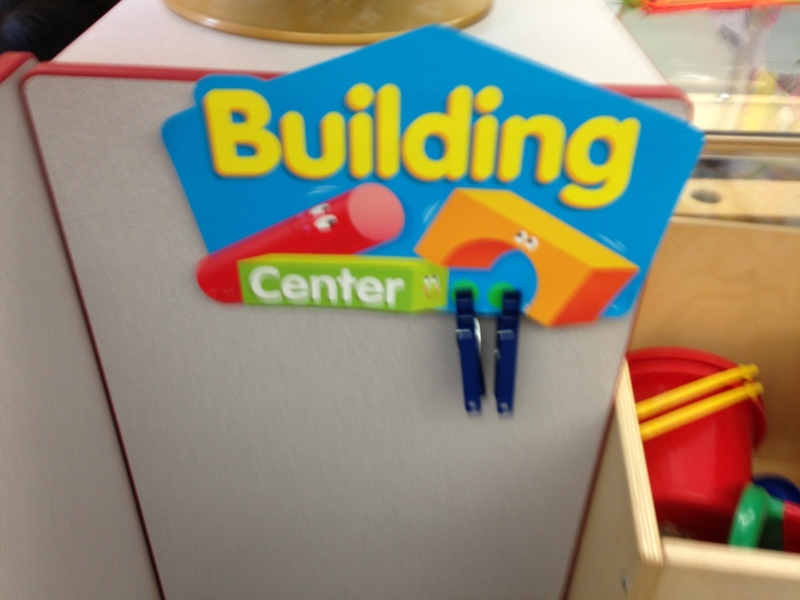 When the student is done with that specific center he or she takes the clothes pin with him to the new center. On the sign are stick dots that display the number of people are allowed at that center. Once every dot is covered, no one else can visit that center. 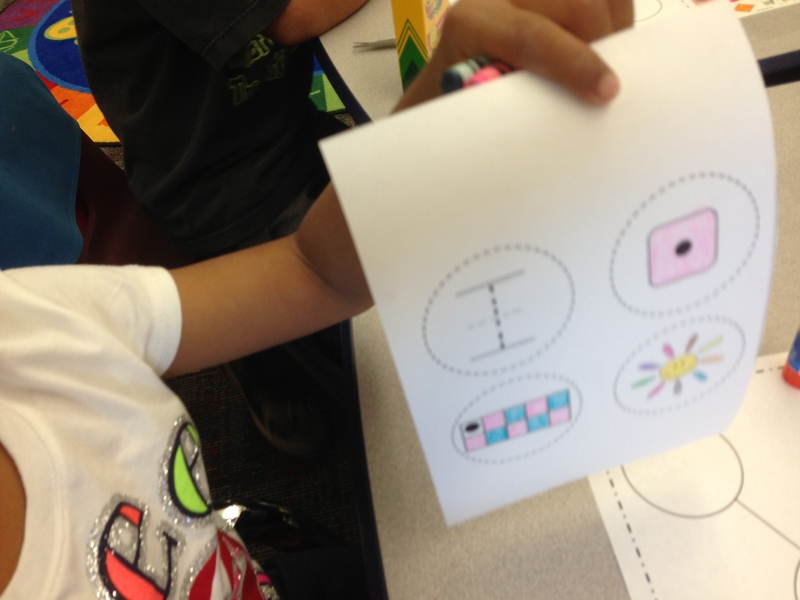 The centers that are open each day depends on what unit I am on. 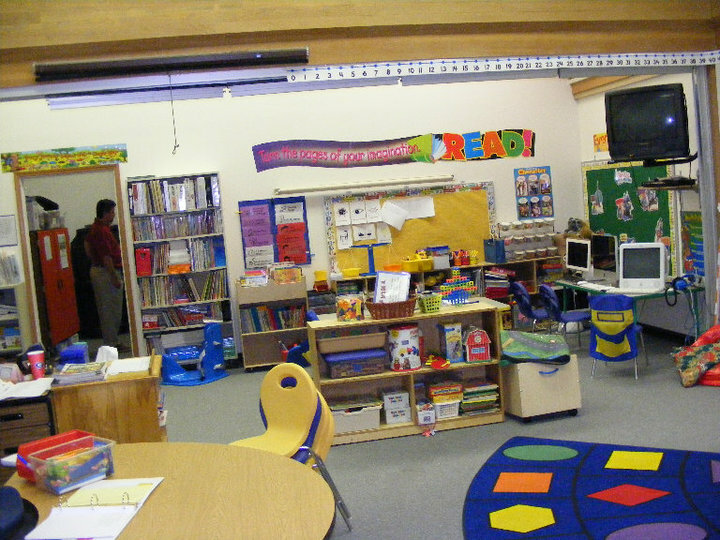 But overall the centers I have are; Building Center (puzzles, legos, Lincoln Logs and actual wooden building blocks), Creative Playing With Toys (toy kitchen set, puppets, toy dishes), Listening Center (ear phones for listening to themselves read, CD walkman to hear audio books), Library Center (classroom library), Writing Center (whiteboards, writing paper for free writing), Computer Center (with Starfall activities), Art Center (with a paint easel, crayons, markers, and other crafts), and Sand / Water Table Center. 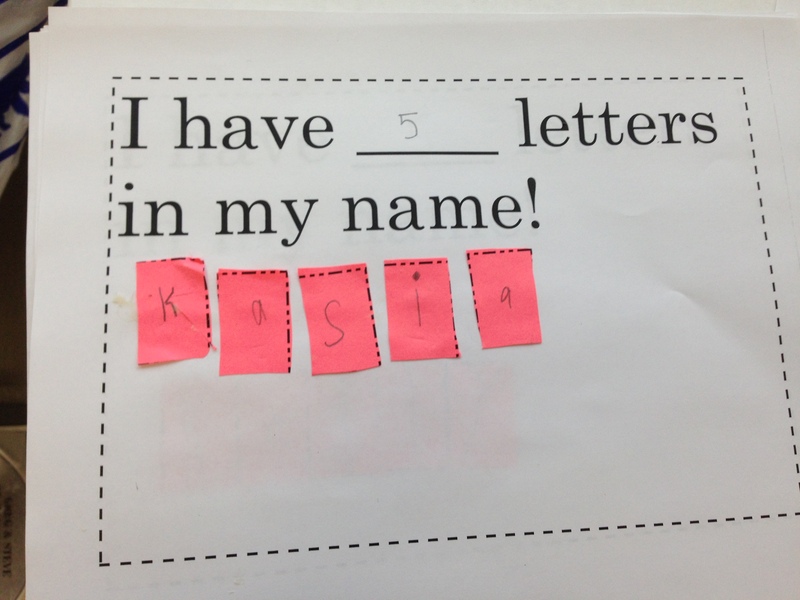 We wrote our names in name strips one letter in each box. 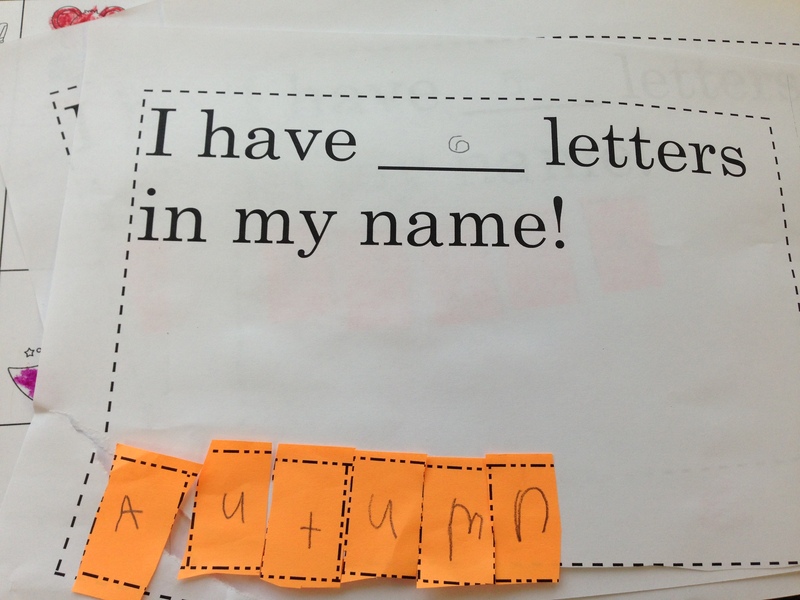 We cut out the boxes and arranged them back in the correct order and counted the numbers of letters in our name. 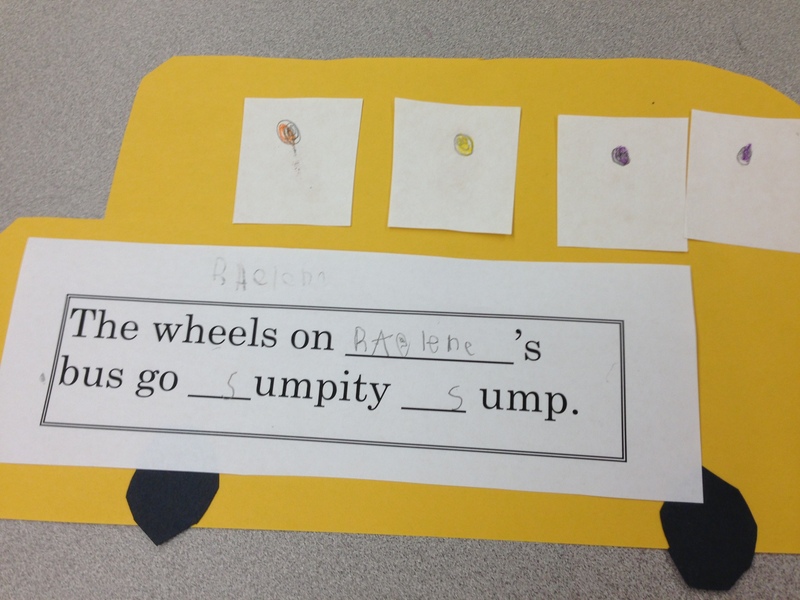 Then we completed the sentences by writing the corresponding number. 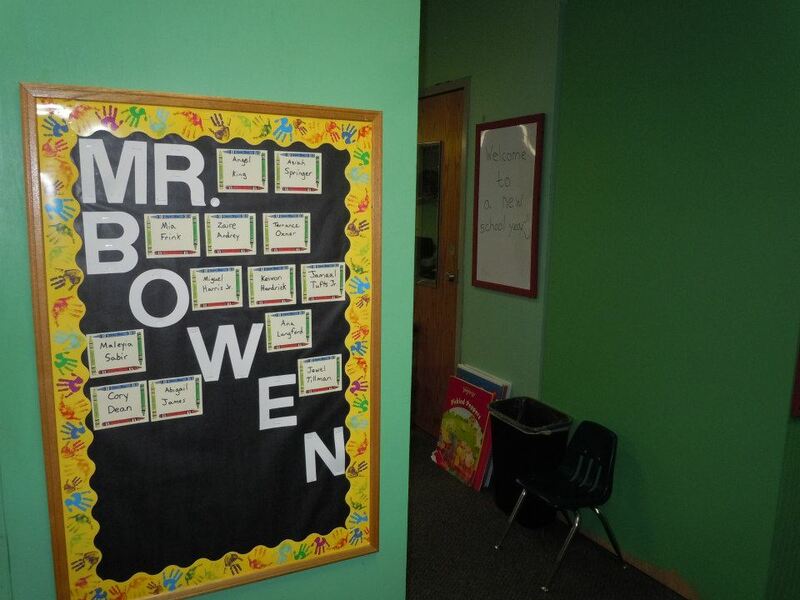 We displayed our names in the hallway and tomorrow we will create a class graph that shows who has the most letters in their name. 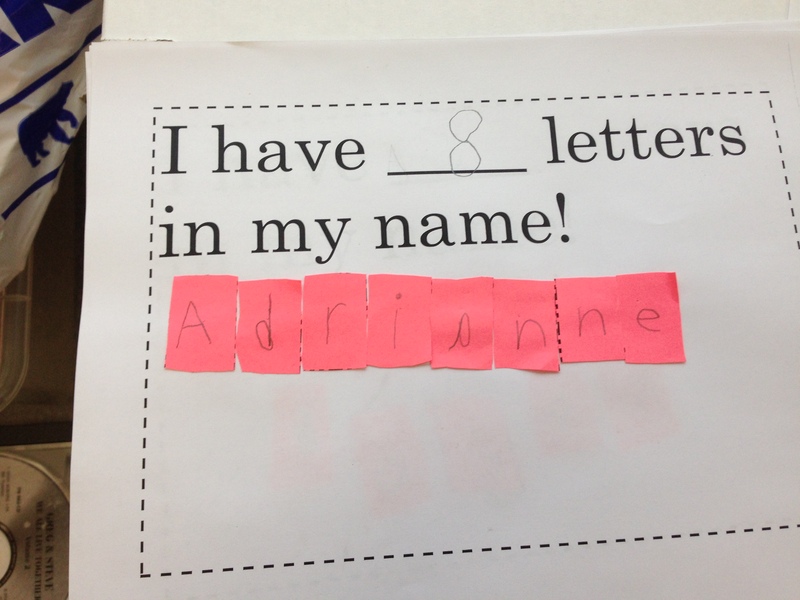 To download your own copy of the letters in my name click here! All My Peeps Listen, Right Now! 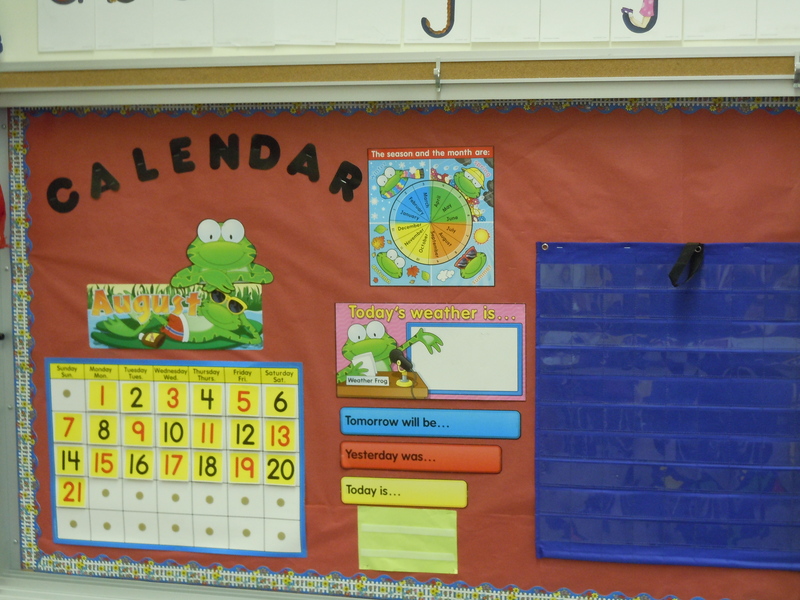 Forgive the title, it is a call and response that we use in my classroom. Well it has happened my friends! The start of the new year has come. 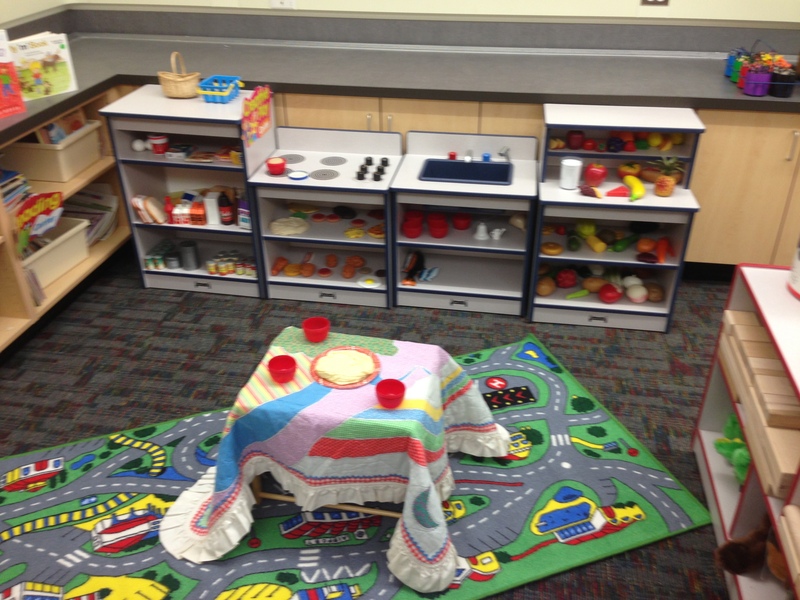 Currently our SFA theme is Welcome Back to School! 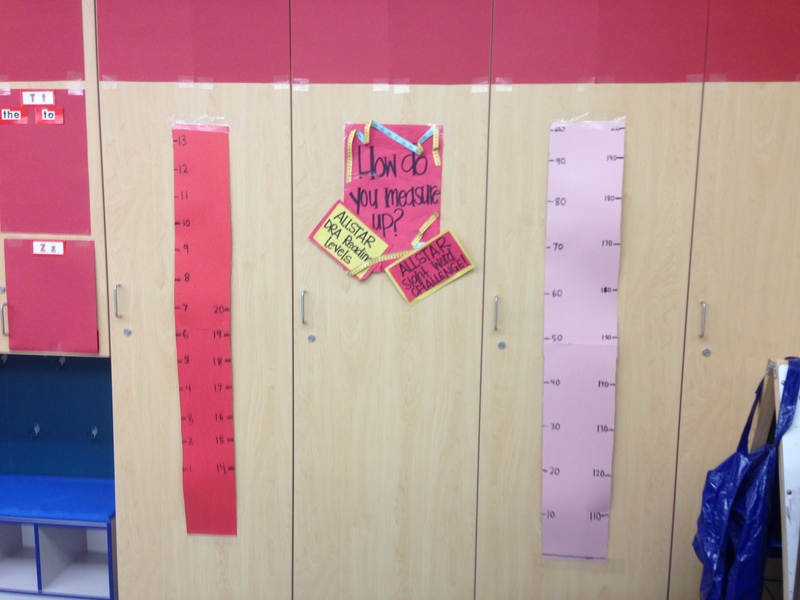 Which we have been working on getting back into routines, how we get along at school, learning who is in our class, and talking about feelings. 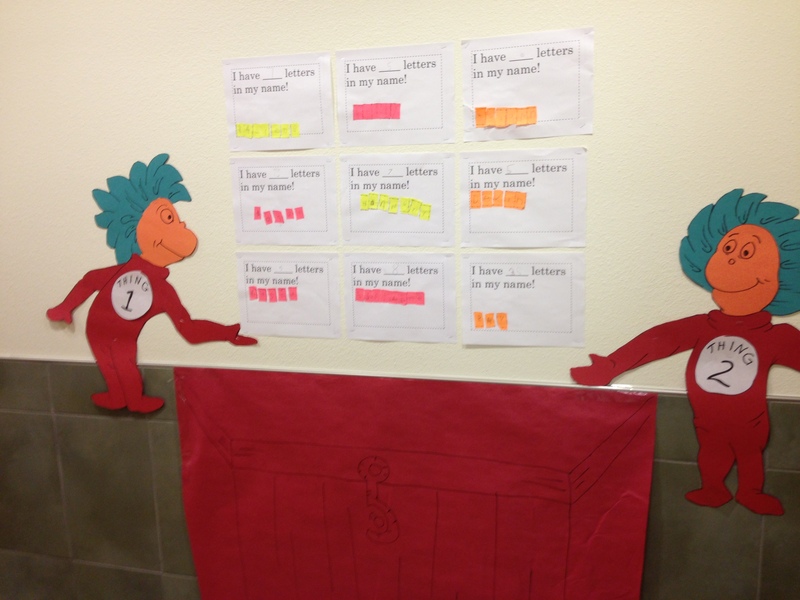 Not to mention we’ve been doing benchmark assessments to gauge where our Kinders and 1st Graders are at. 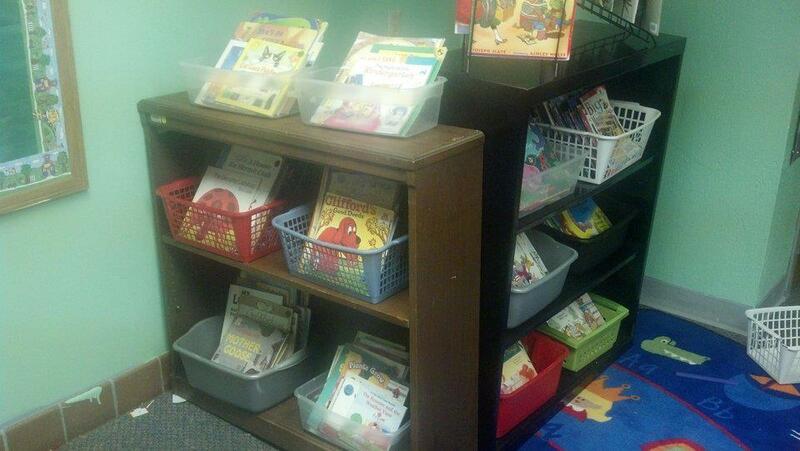 Currently they’ve been assessed in Reading A-Z’s Guided Reading levels, and sight word fluency. 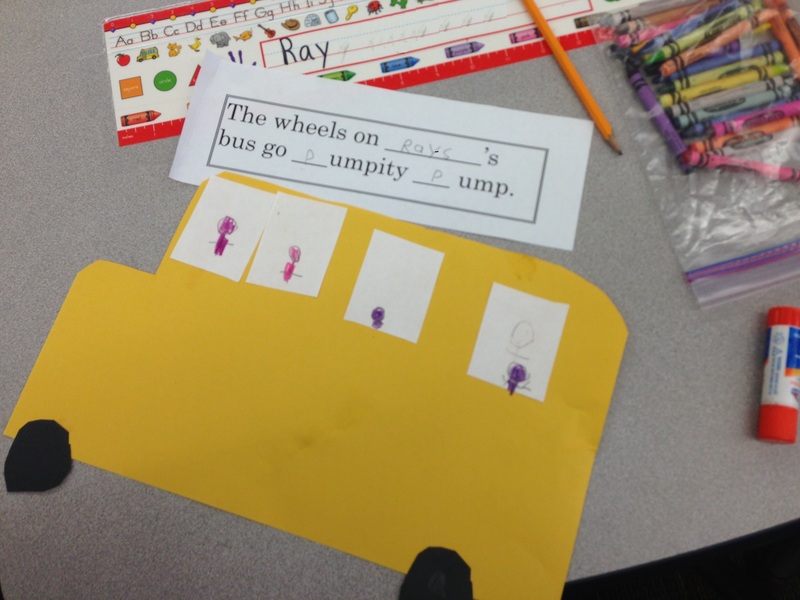 In Math we’re going over numbers and quantities up to 12. 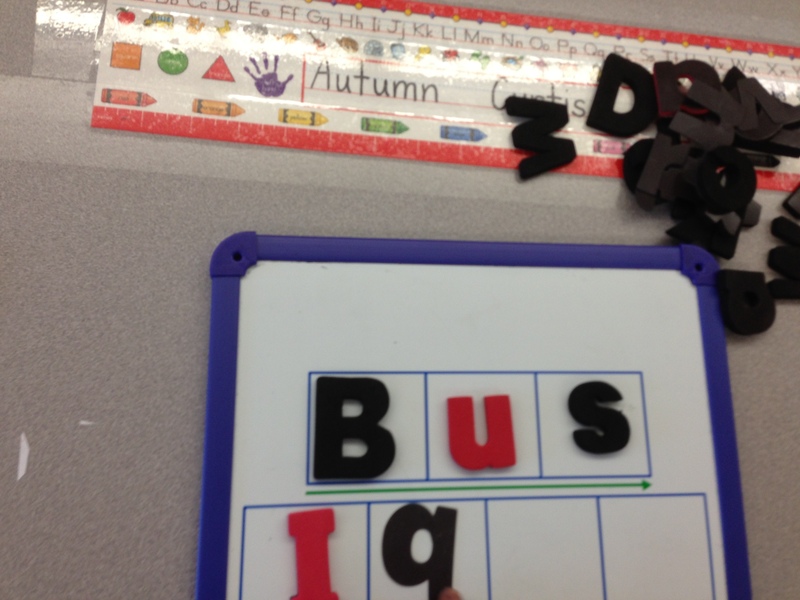 Our very first day we covered the number 1 and what the quantity is. 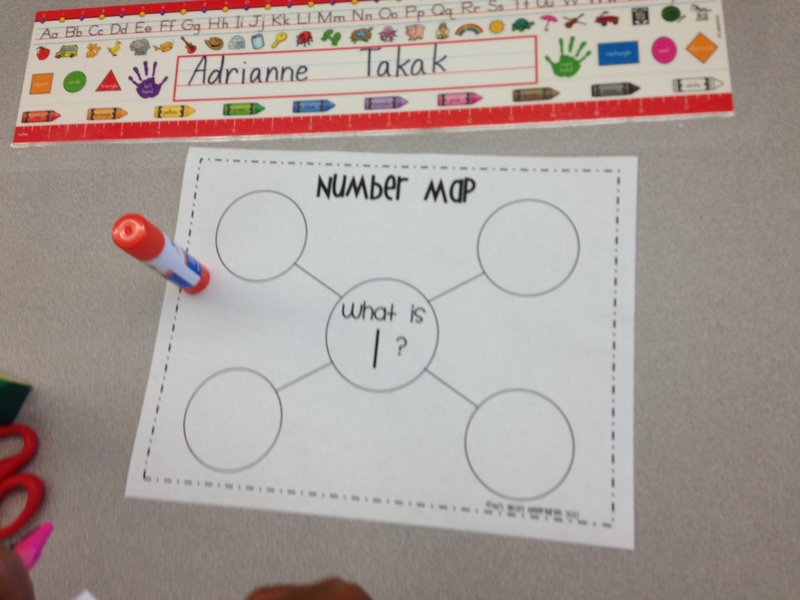 Students are to cut out the individual pieces and glue them onto a web chart that represents the number. 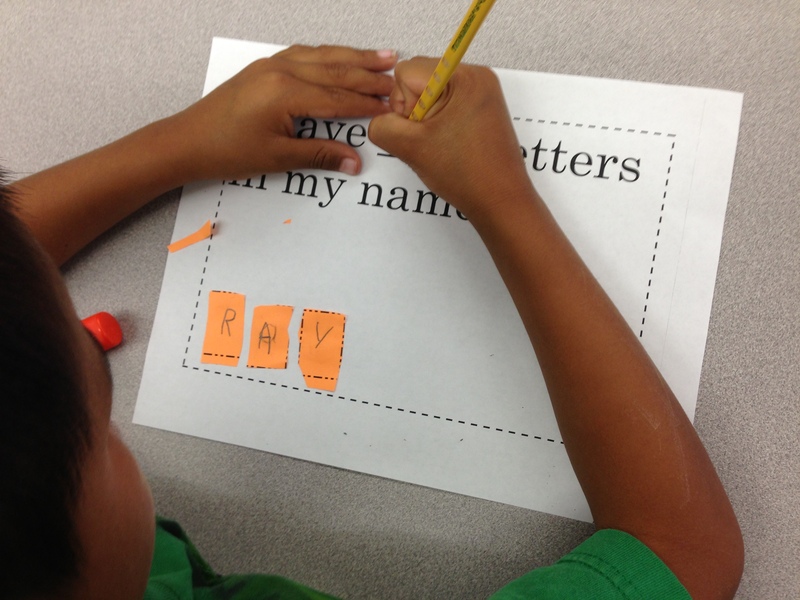 Matching up with our theme of Welcome Back to School, we read Franklin Goes to school and created our own My First Day of School book. 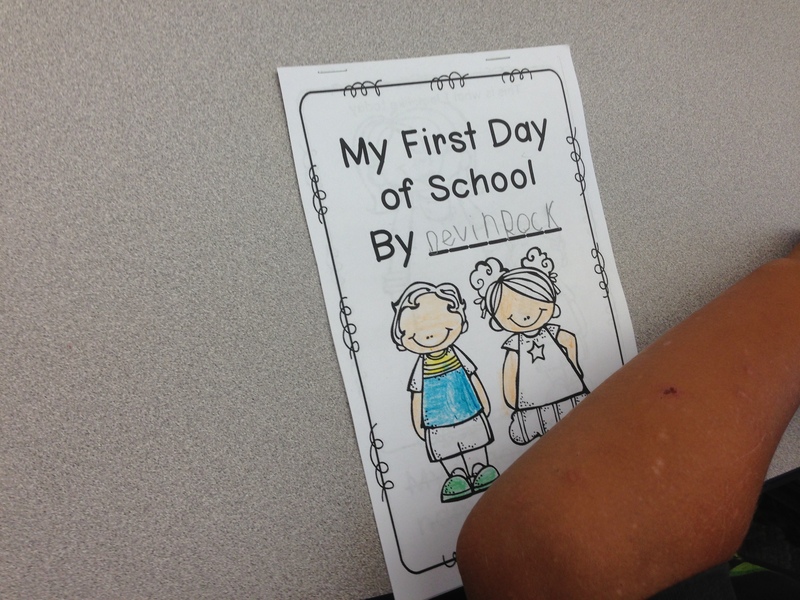 On each page students colored or drew pictures that described their first day of school and what their school is like. It works perfect for the first week or so of school. 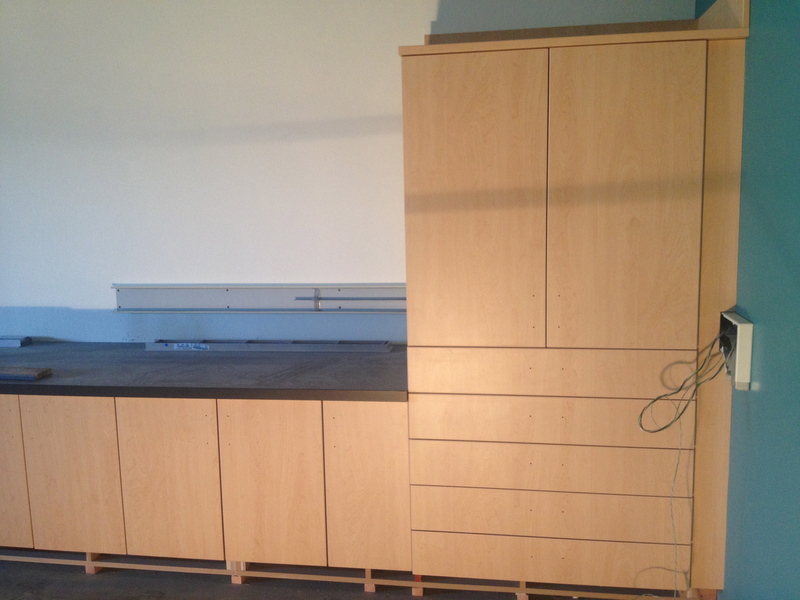 This is something that we didn’t complete in one day, we’ve been working on it for the past few days. 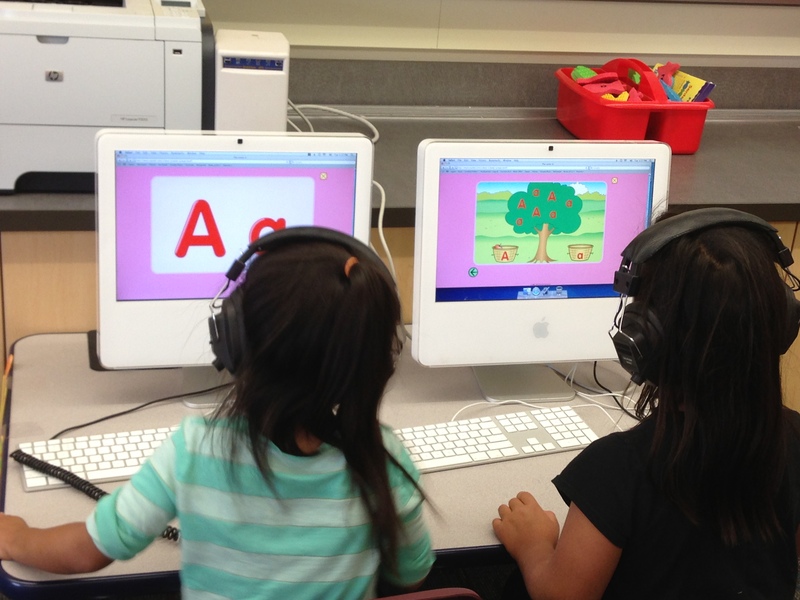 To download an electronic copy of the First Day of School click here. 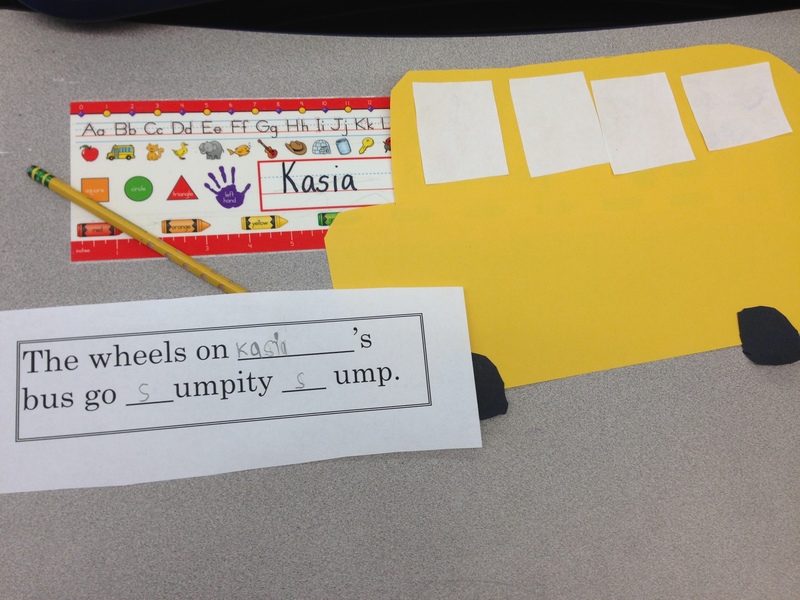 As stated before for Literacy Workshop, student’s have been taking benchmark tests in Guided Reading and sight words. 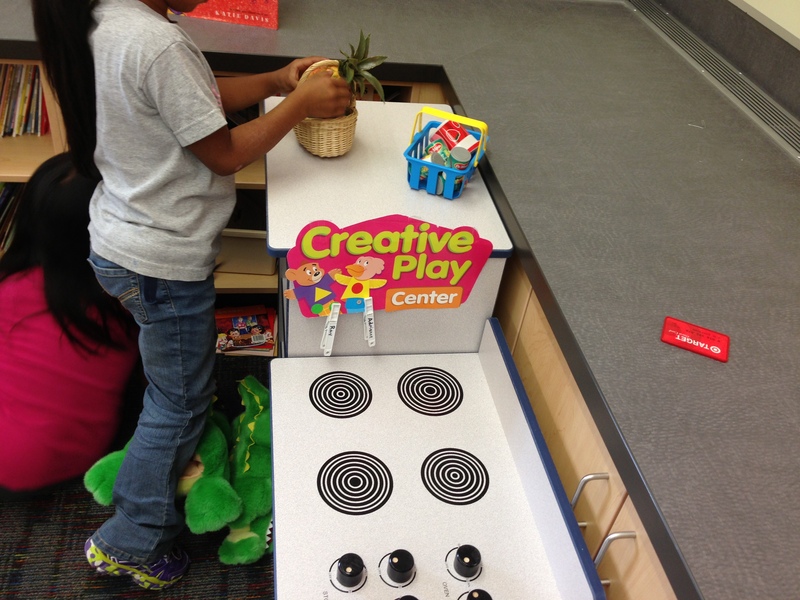 While certain students are being assessed, the remainder of the students got a taste of Literacy centers. 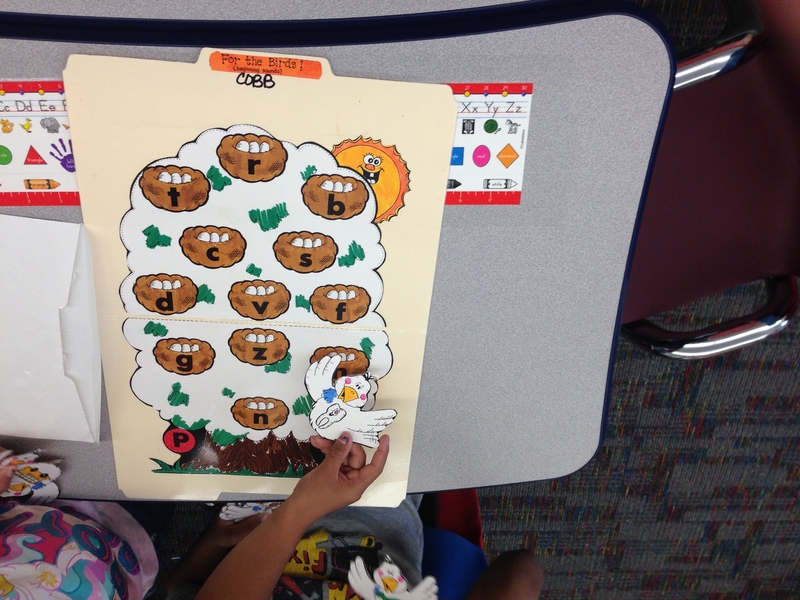 Students reviewed initial sounds by matching pictures that go with the beginning letter sounds. 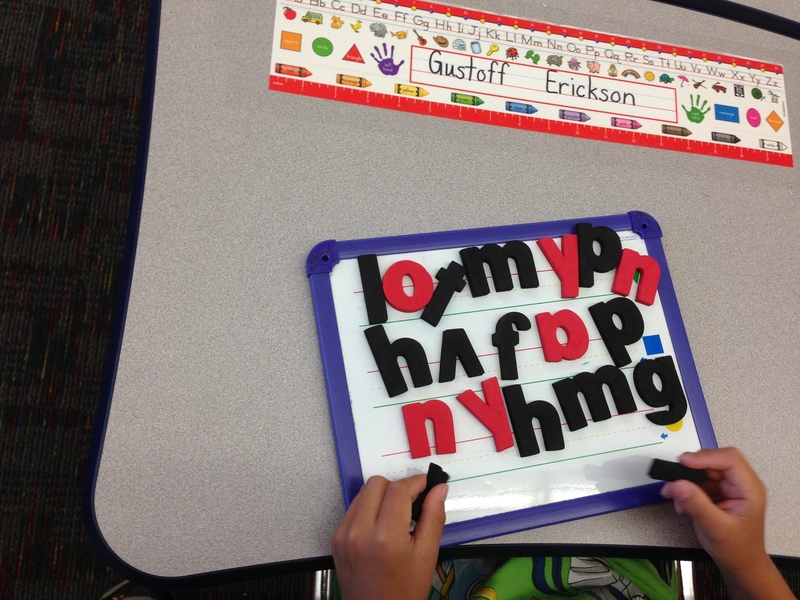 At the magnetic whiteboard center, students got to explore with letters and forming simple words if they were able to. 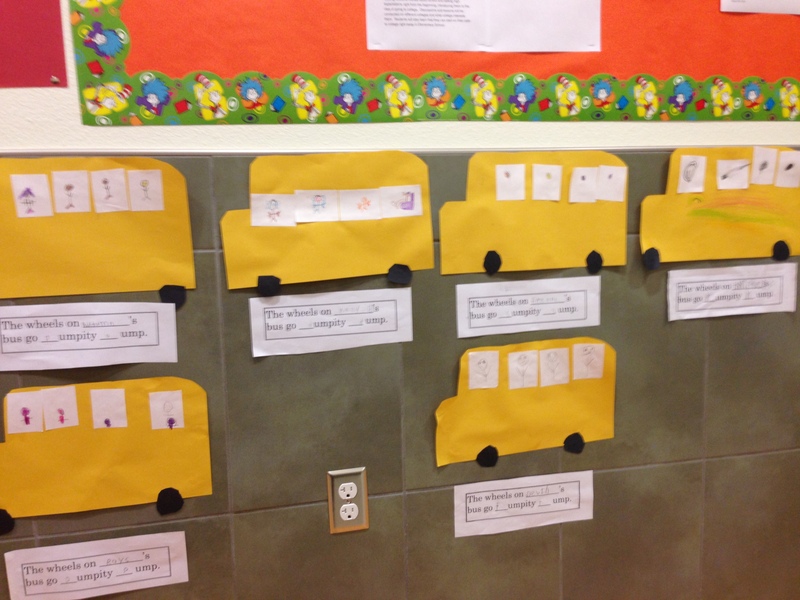 As we continue with the next few days of school I will display more of our activities and our classroom work! 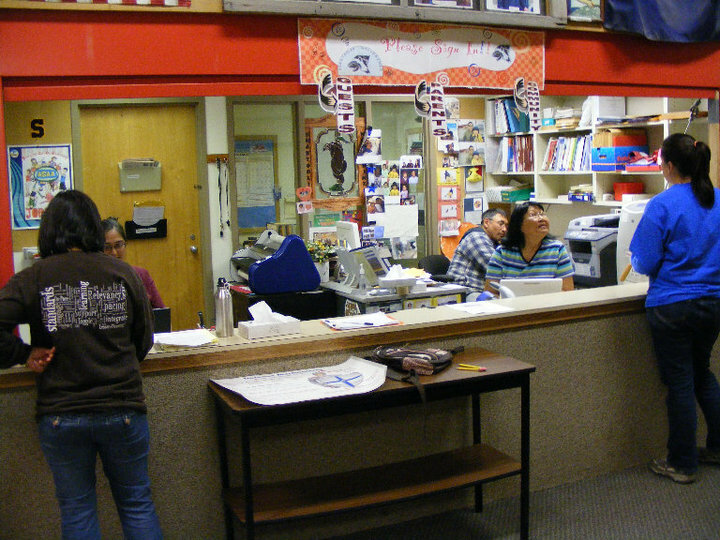 Thus begins my 4th year of teaching and a new school year here in Shaktoolik. AK. I must say the welcome back has been nothing short of amazing. I feel like I picked up where I left off. 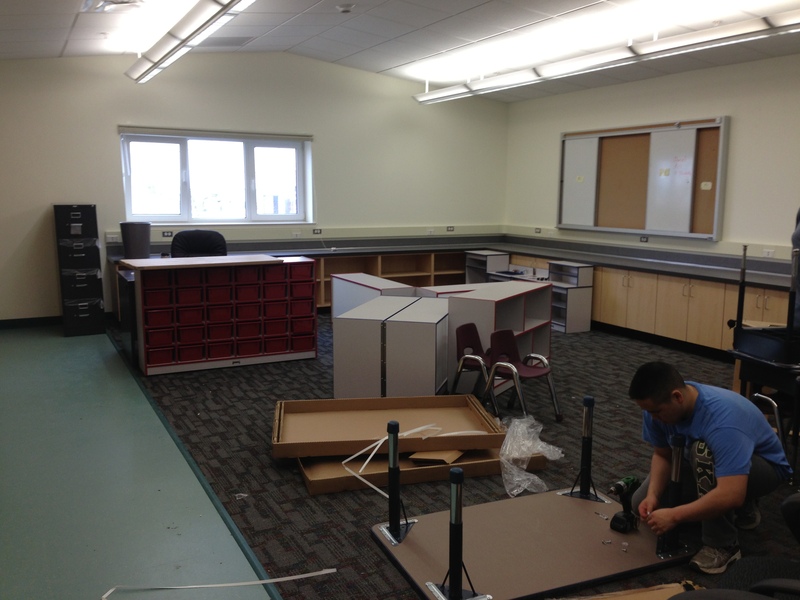 Our school which has been completely remodeled is about 85% done with all the classrooms ready for teachers to move in. 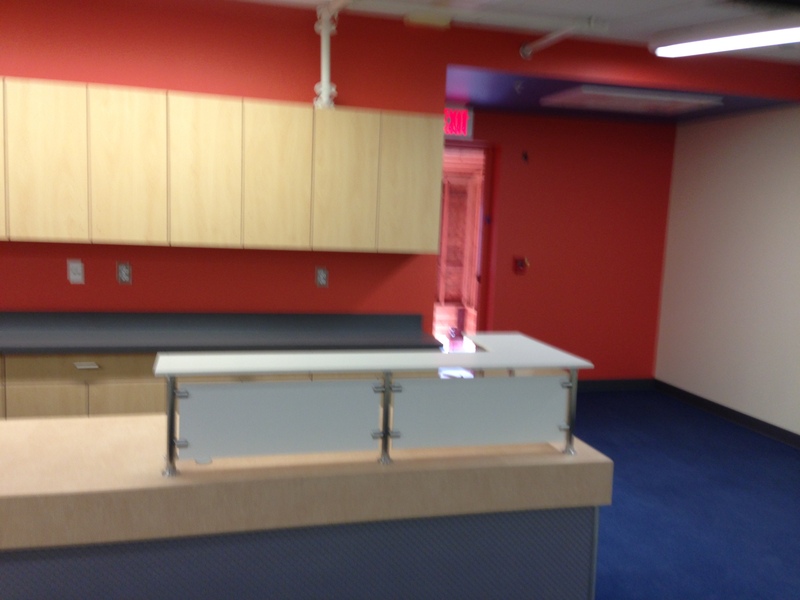 We were able to all move in and we’ve had our first day, more on that later in future posts. 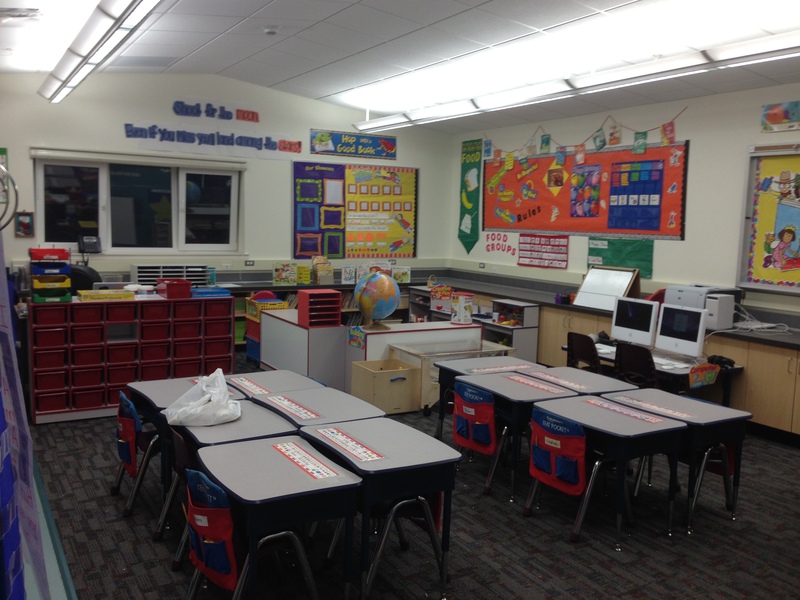 For now I want to share with everyone our brand new school! Be aware this post is picture heavy. 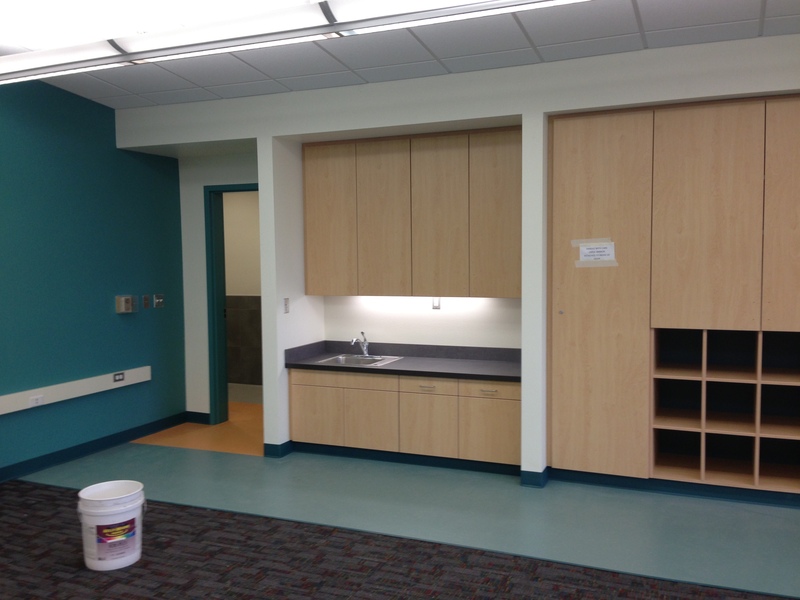 The school was completely gutted from the inside and completely redone. 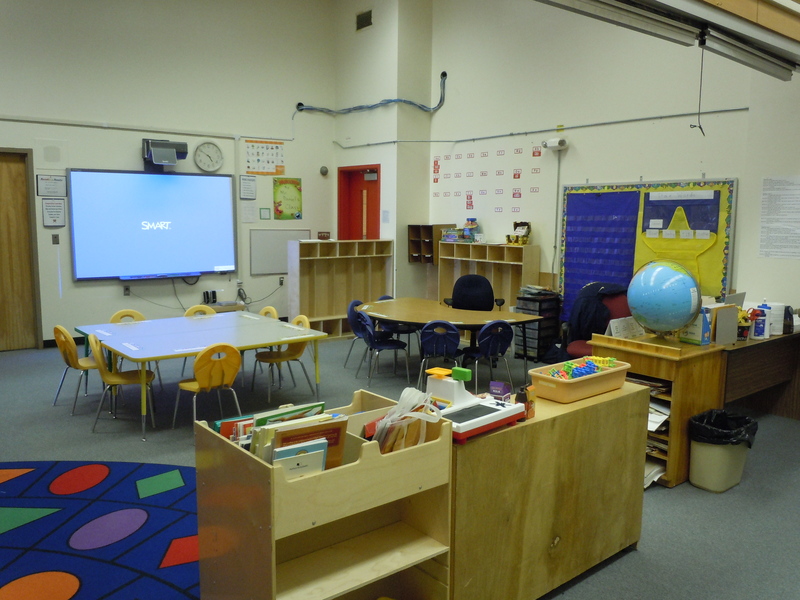 It’s like a brand new school on the inside. 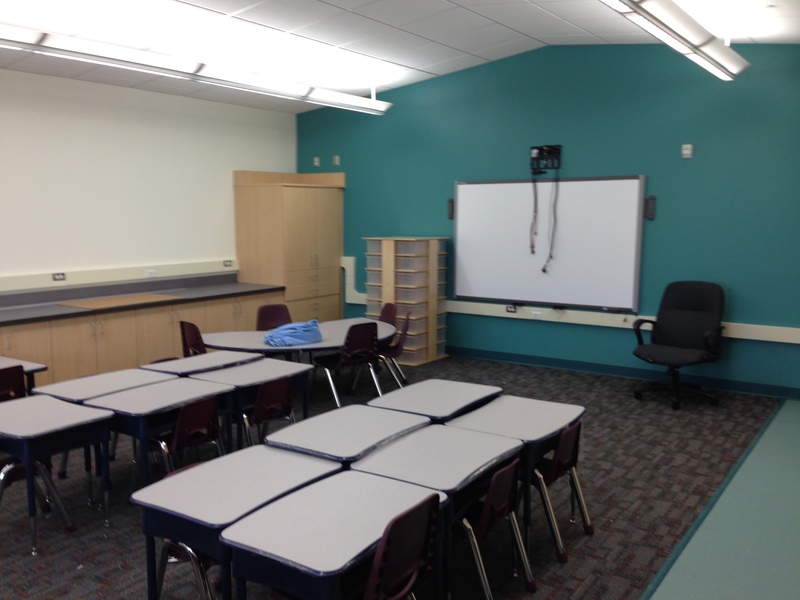 I think the thing I like the most about the new school is the fact that the layout has an echo of the old school. 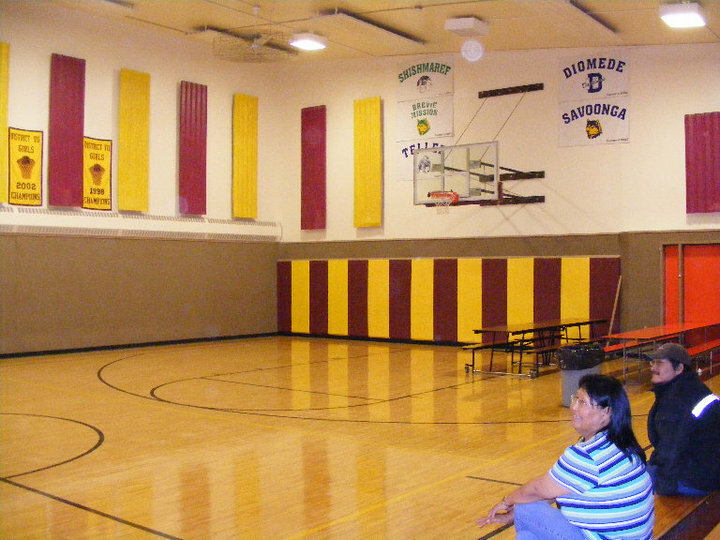 It’s like the old school didn’t get destroyed, it was just made better. 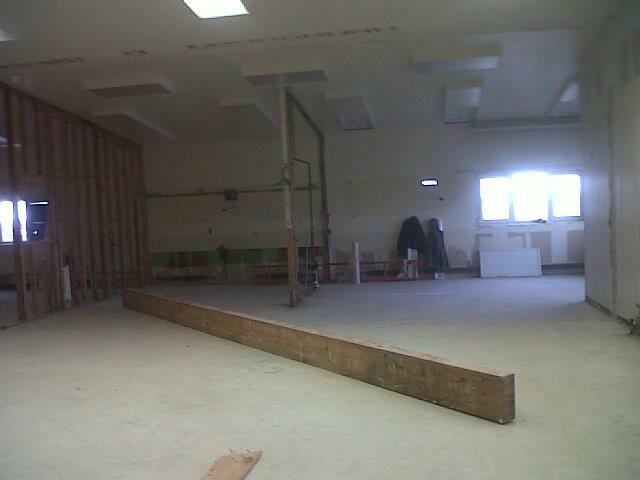 For my readers that are not from Shaktoolik, this is what the school looked like before the remodel. 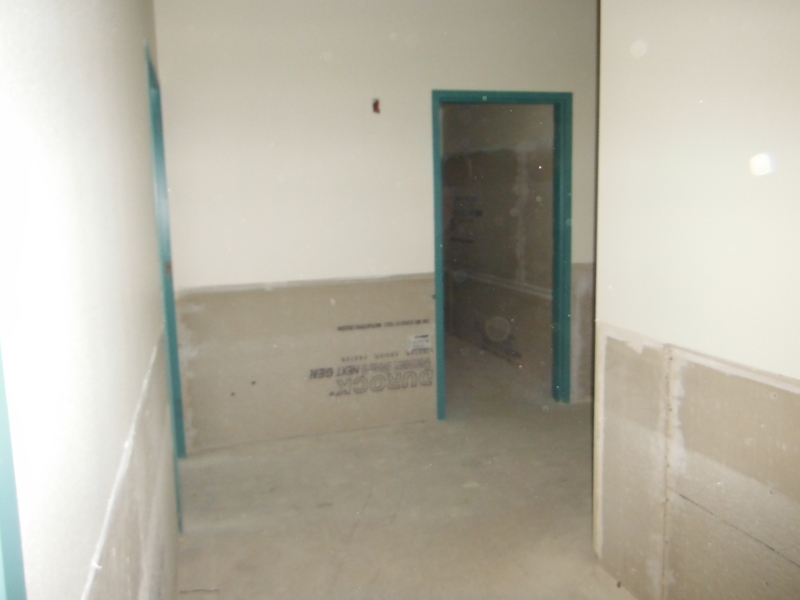 Most of the rooms were originally interconnected to each other as there was only one main hallway. 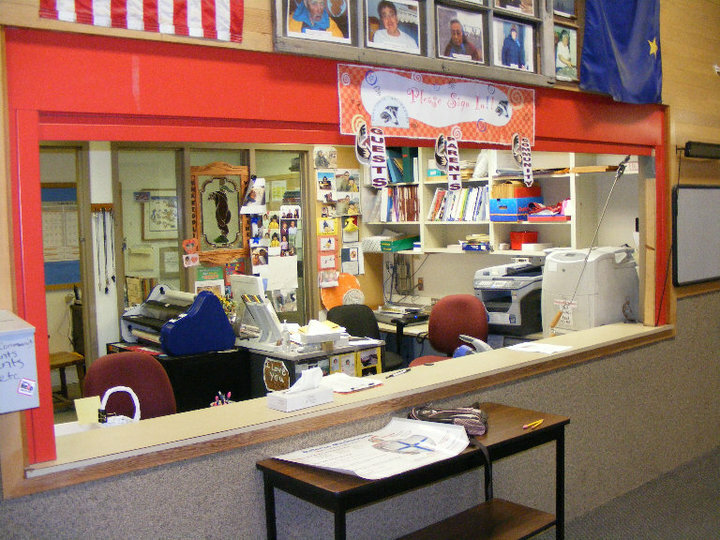 So in order to get to certain rooms you had to walk through other rooms, namely my old room (the K-1 room). (From left to right). 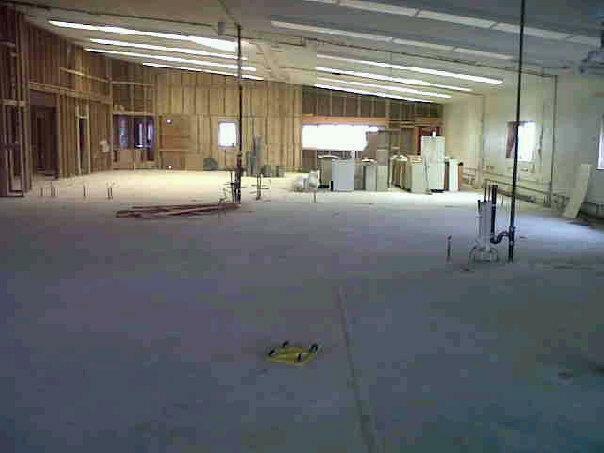 This was the old high school math room, in the front middle. 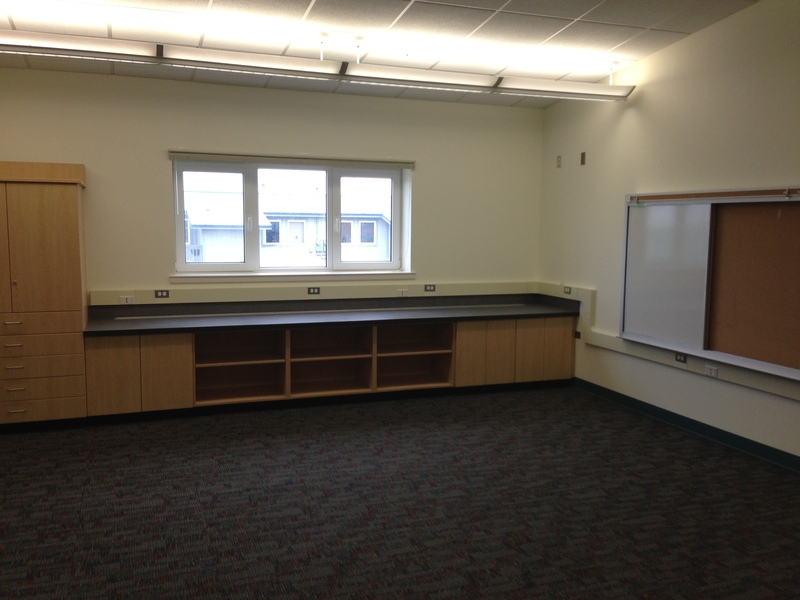 The next room was the high school language arts / social studies room. 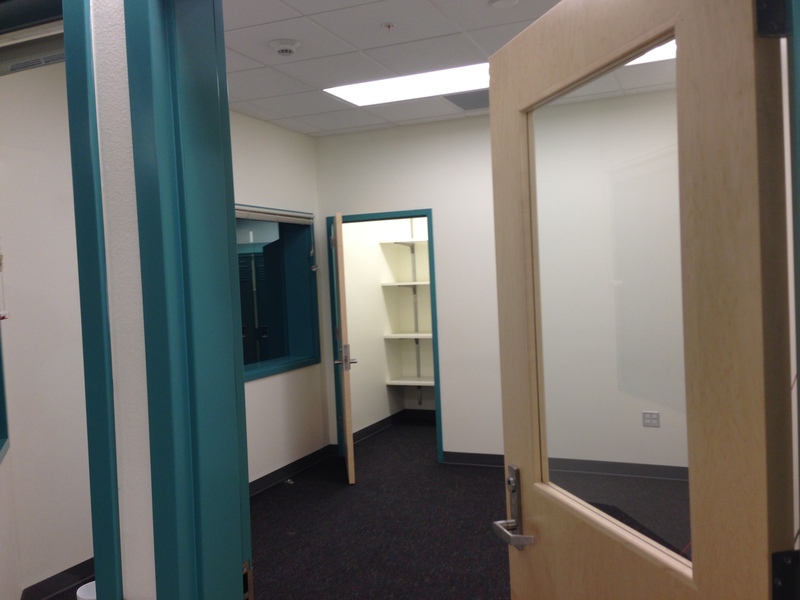 Next room is the gym, followed by the main hallway. 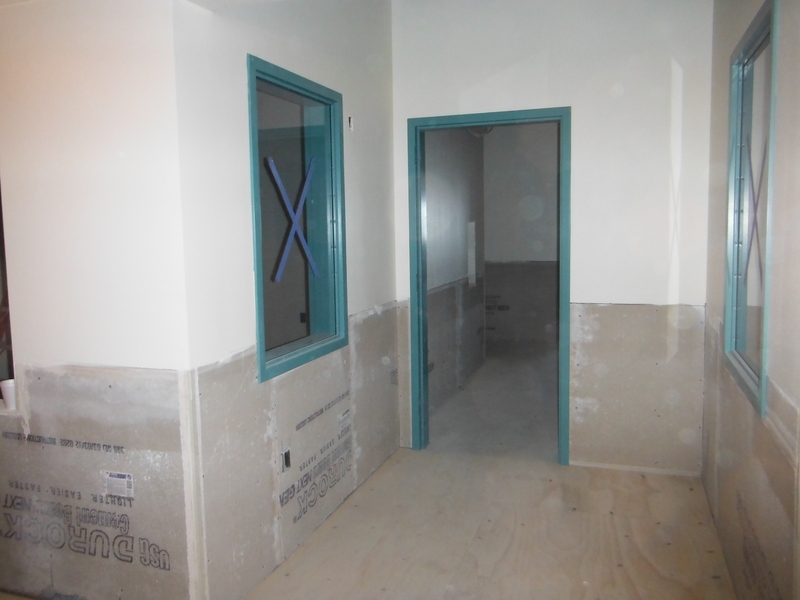 The first door on the right from the main hallway was the door to the office. 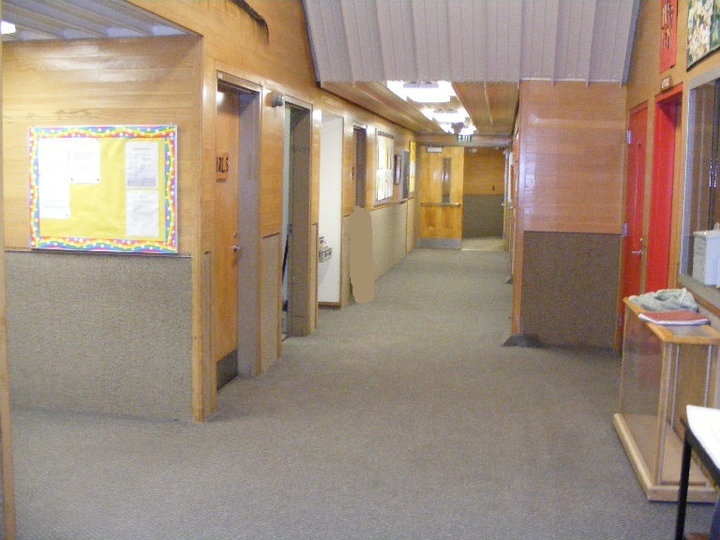 The next door on the right was the K-1 room from the main hallway. 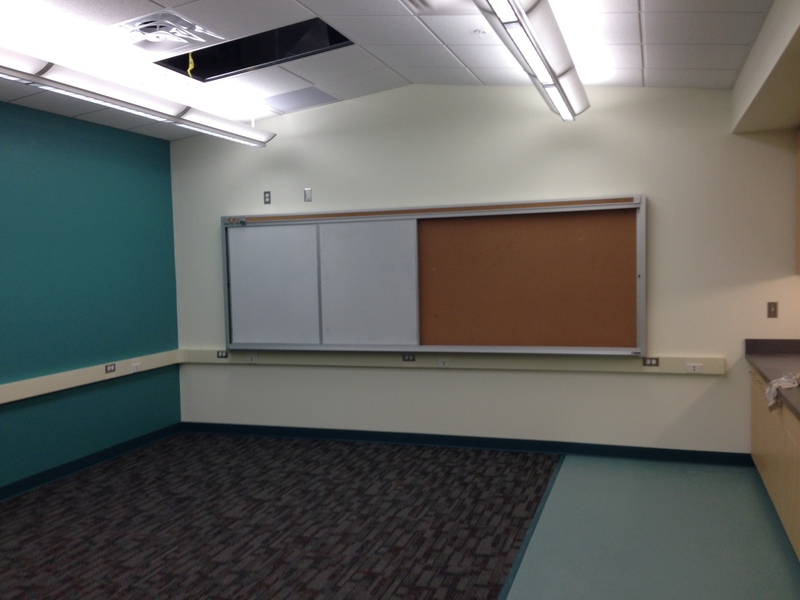 The next picture was the K-1 room. 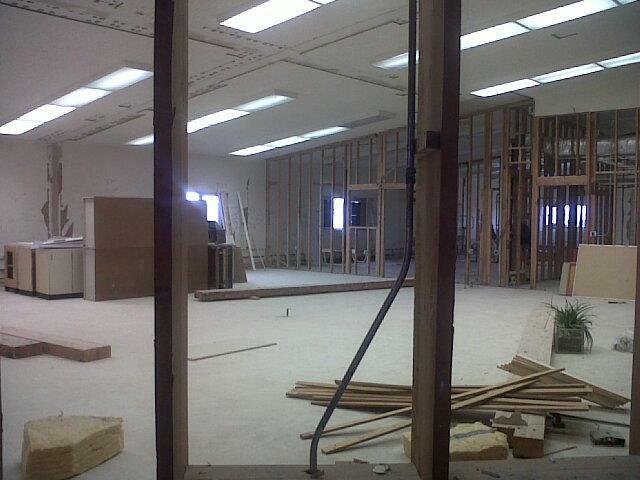 Next is the main office looking in from the hallway, and then the science room. 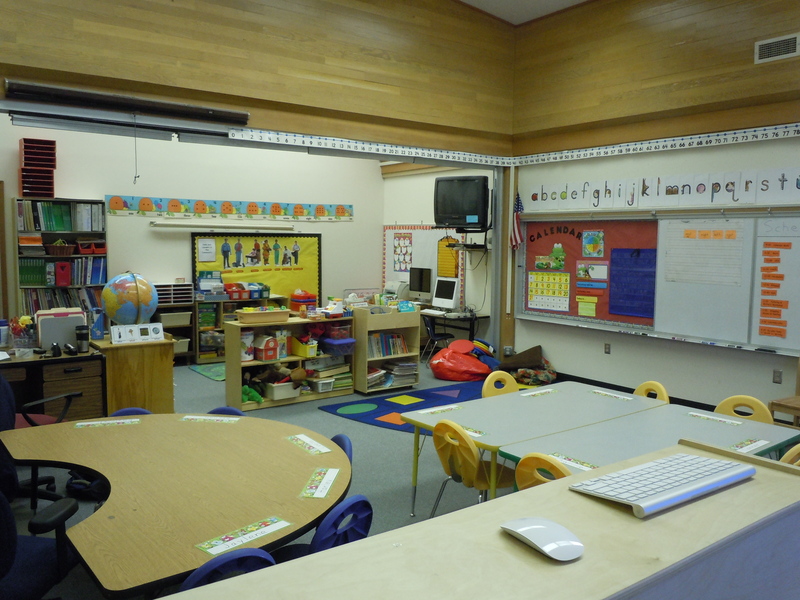 For those of you that have seen pictures of my old classroom from Shaktoolik, you know more of what my classroom used to look like. Following right after the 2011-2012 school year, they demolished the inside of the old school. 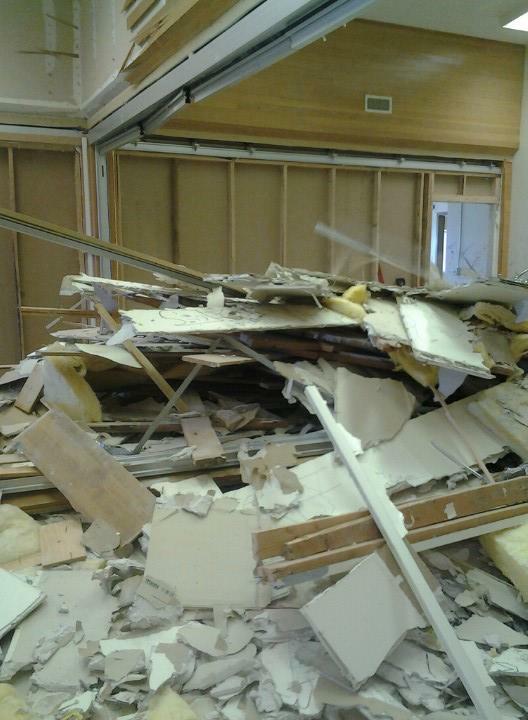 Here is what my old room looked like after they started knocking down walls. 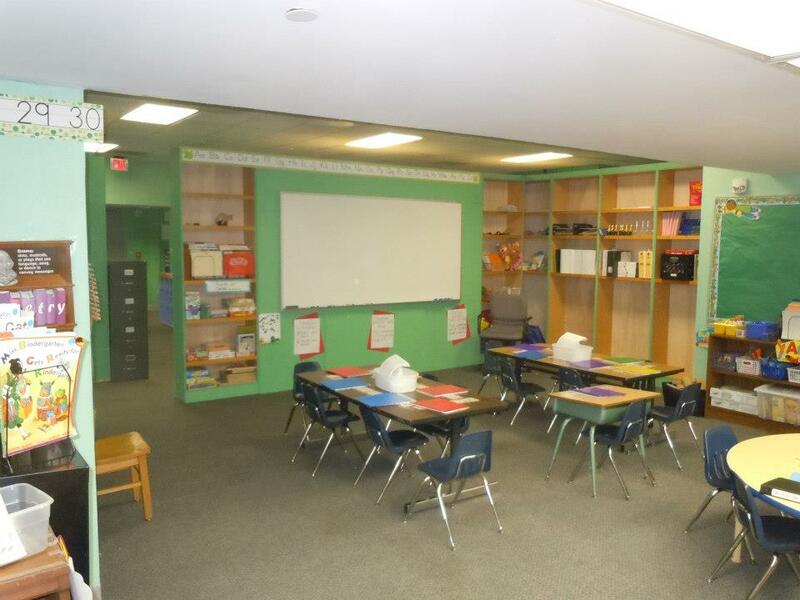 From the old K-1 room picture (before demolition) you can see the door that leads into the smaller room that was usually used for Kindergarten SFA work. 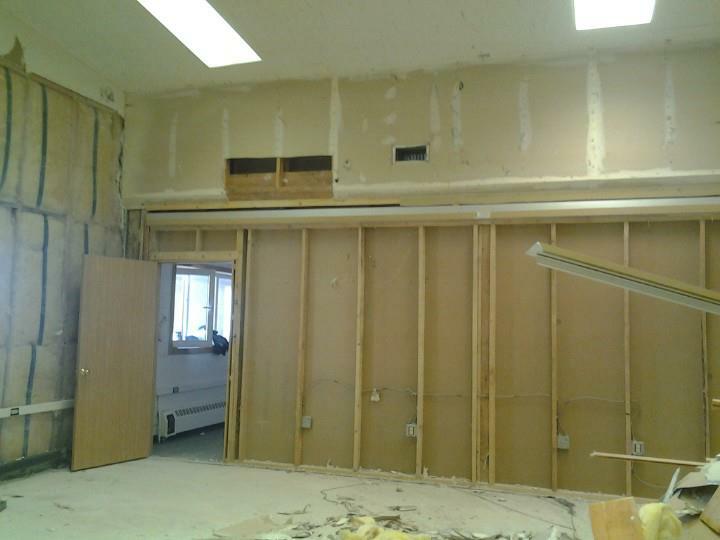 In this first picture after the demolition you can see what it looked like all the way into that small room. 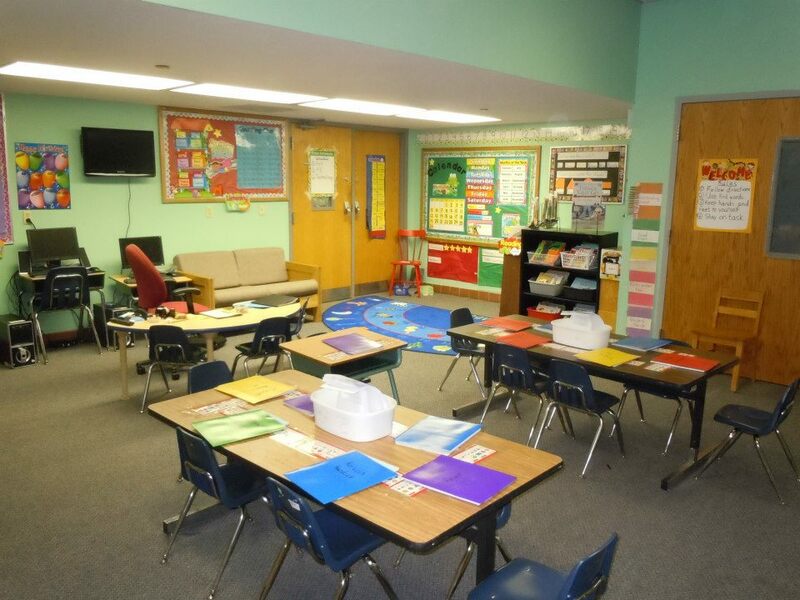 Notice how in order to get to the back classrooms you had to walk either through my main room or the back tiny Kinder room. 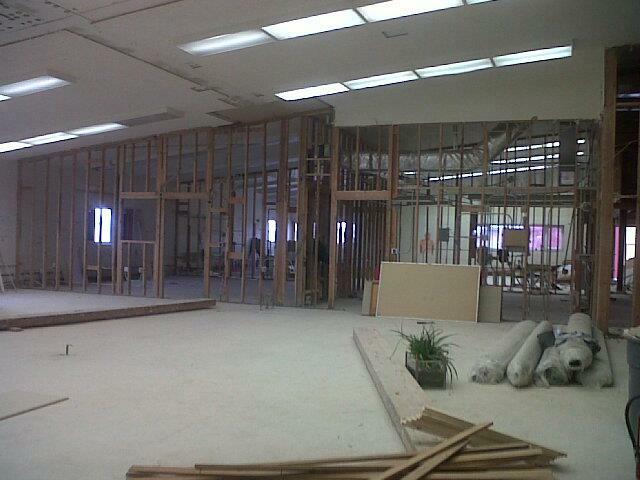 After the walls went down in my old room, then the rest of the school was to follow. 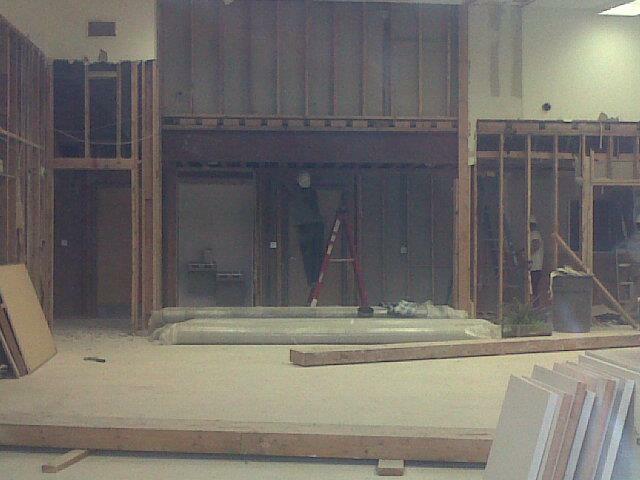 All the walls except for the main anchor all frames were knocked out. Leaving just the outer shell of the school. 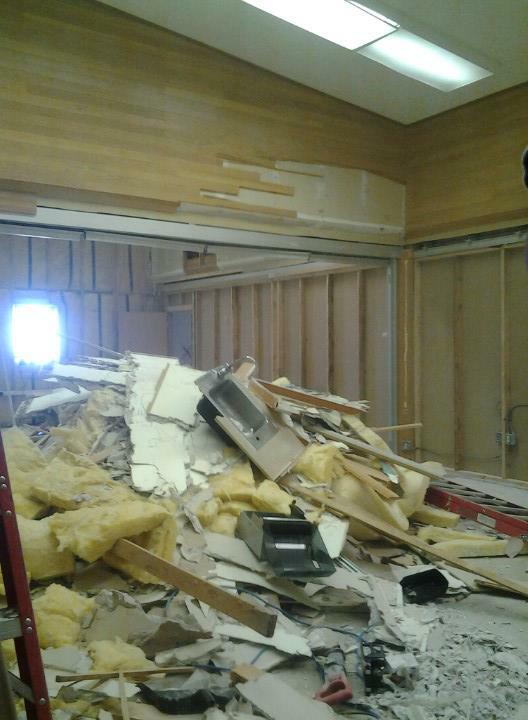 Here is what was left after the rest of the demolition. 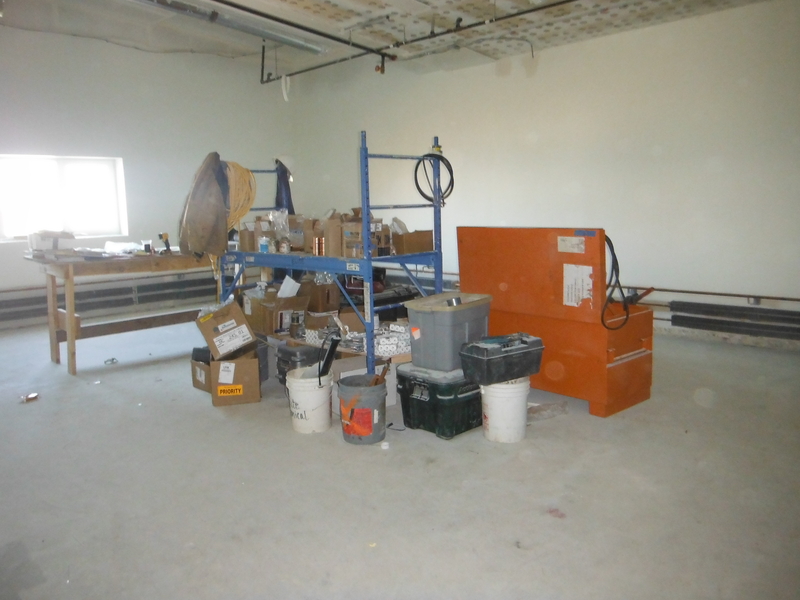 (From left to right) The first picture is looking towards where the old K-1 room used to be, in the area of where the tiny window was. 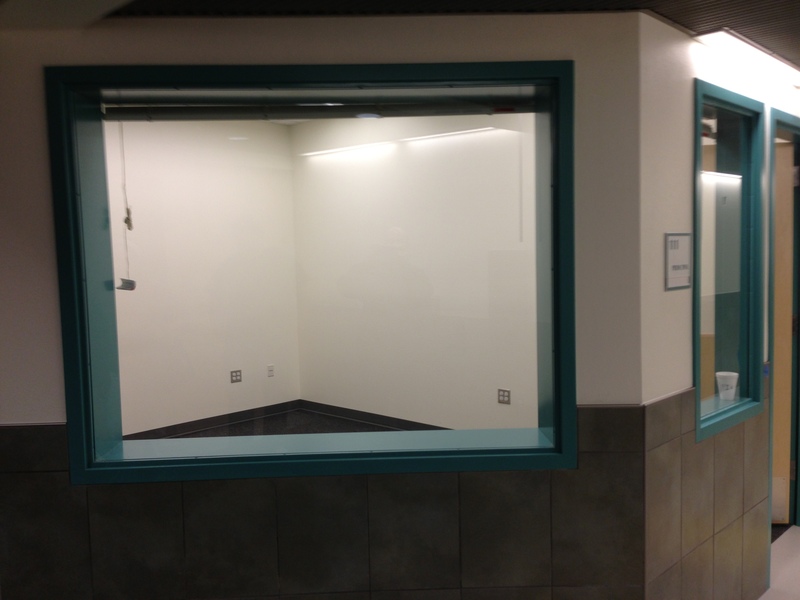 The big window is where my new room is now at with the one wall pushed back farther to give us more room. 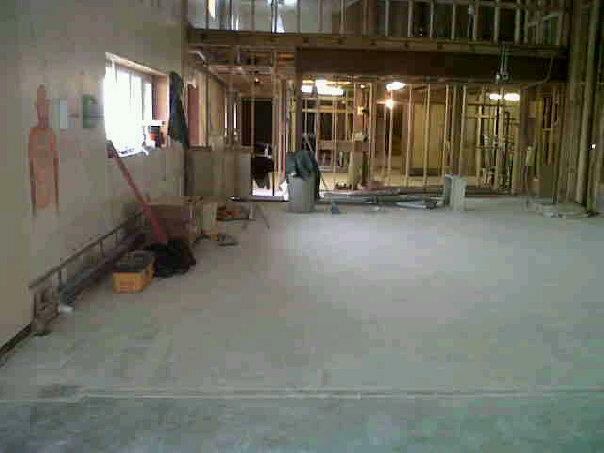 To the left you can still see the skeleton of the old main hallway. 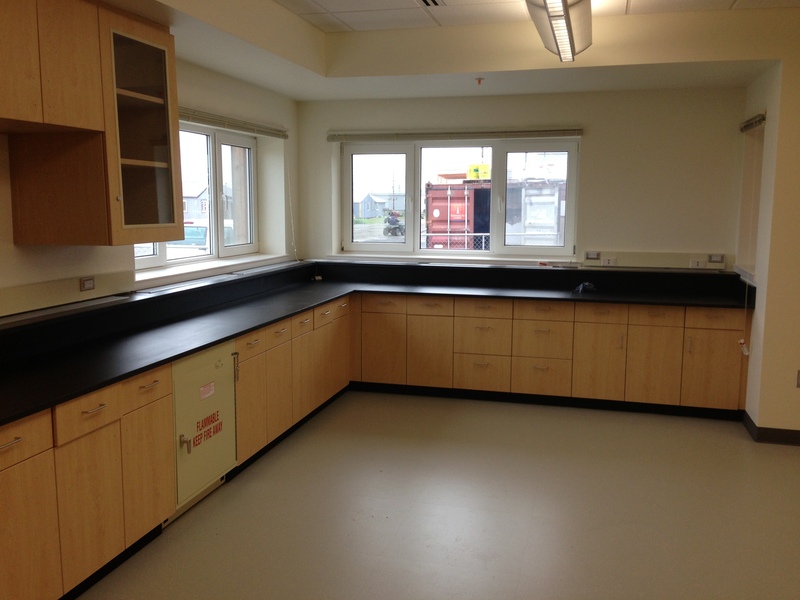 Next is standing in the science room area, looking towards the main hallway. 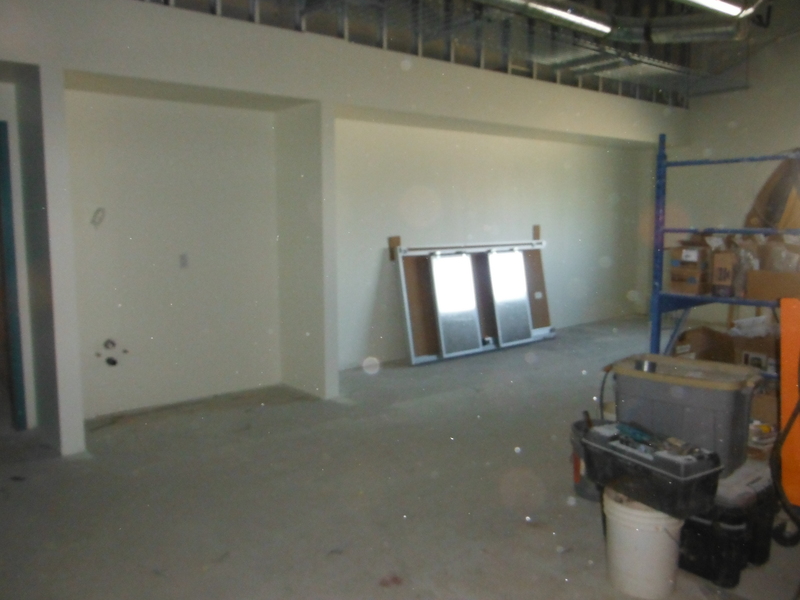 The next picture is standing in the main hallway looking towards the science room / old home ec. 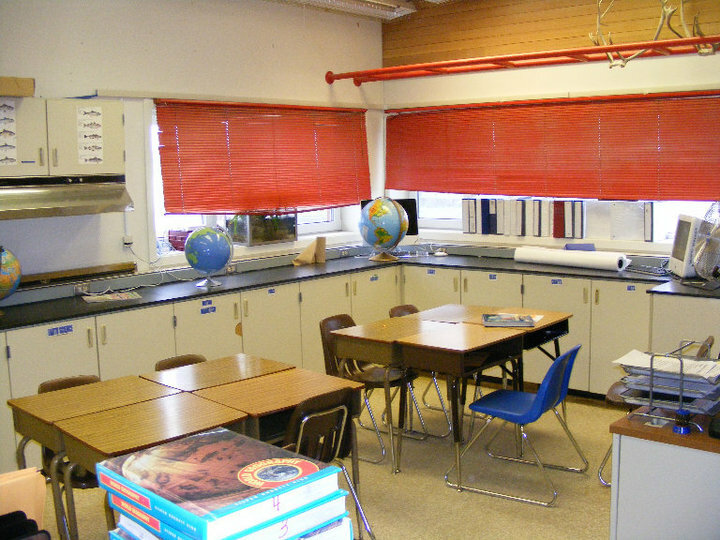 room. 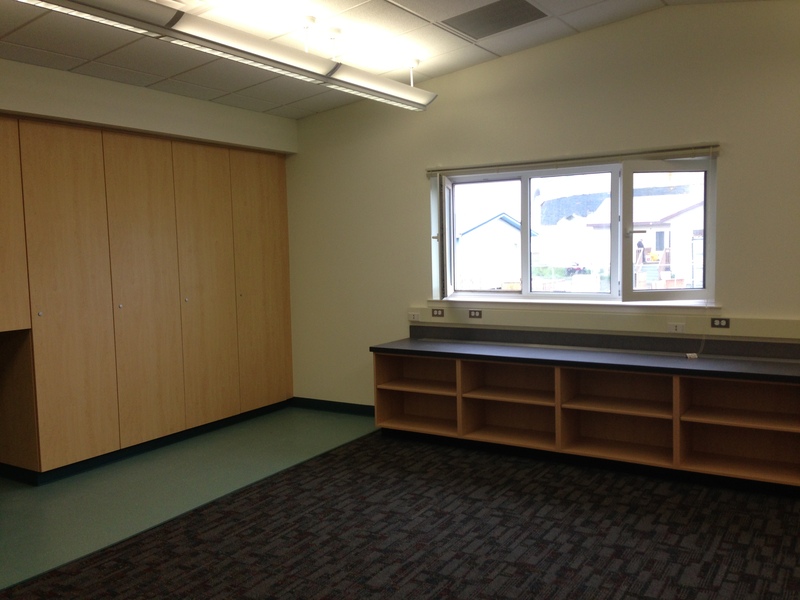 Followed by a view of standing the area of my old room looking towards where the office used to be and towards the high school area. 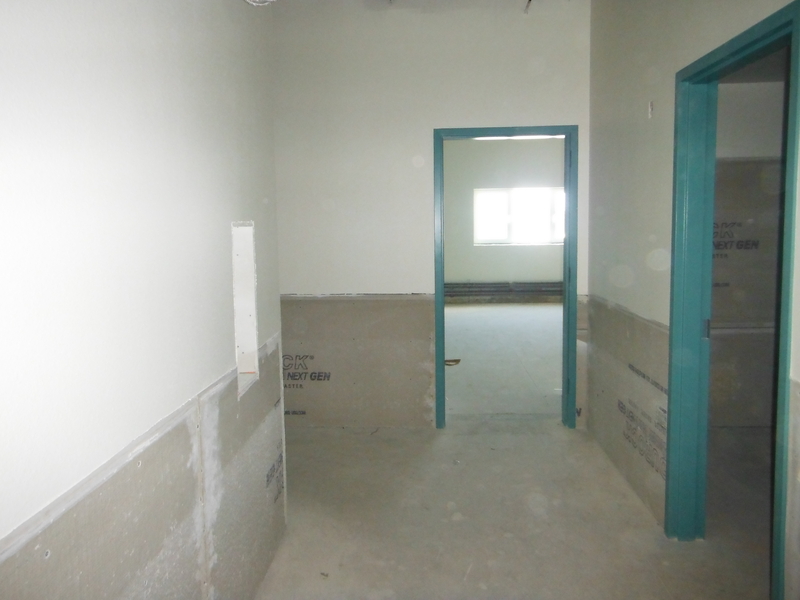 The last picture shows a weird angle from the main hallway looking through my old room and getting a view of the far wall by the street. 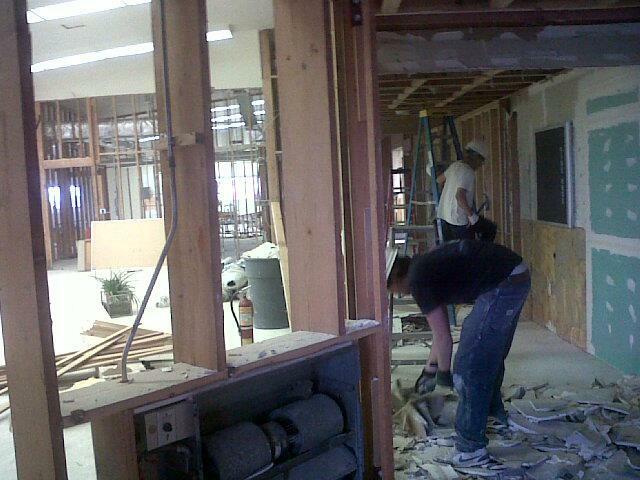 They were already building a new angled wall cutting into my old room. 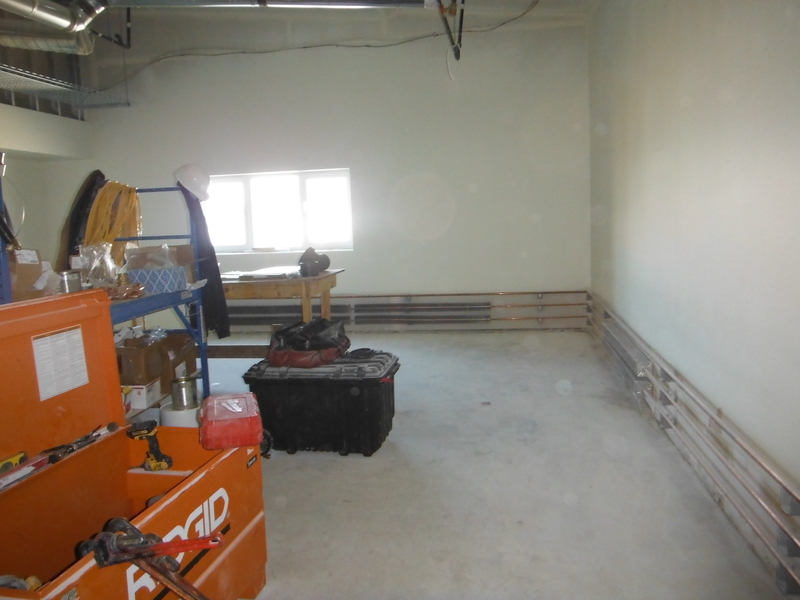 The first window in the left was where the old 2nd and 3rd grade room used to be and the next window in the right is where the old high school math room used to be. 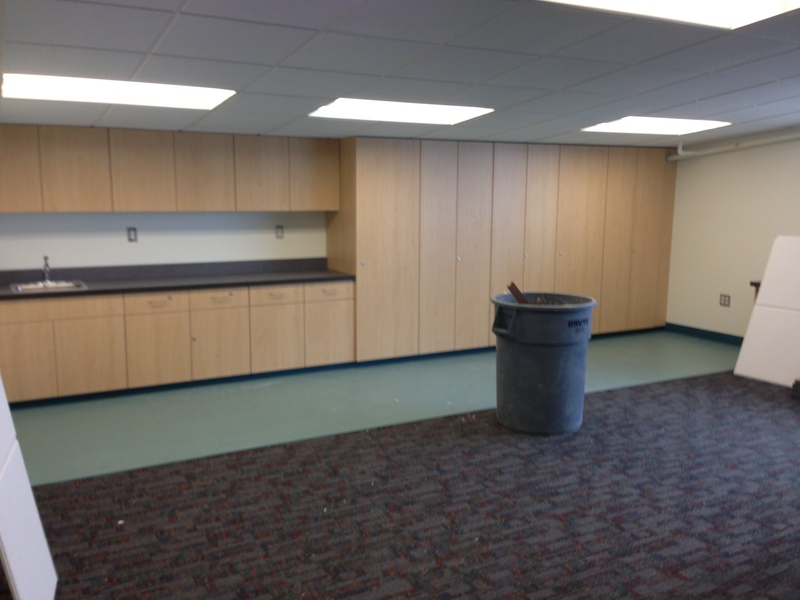 Here in these next pictures you can really start to see the change in the school. 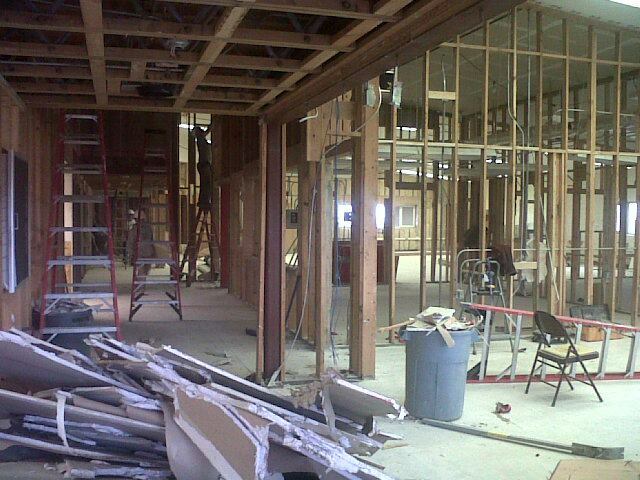 You can see that the thinned out the main hallway and made it less wide. 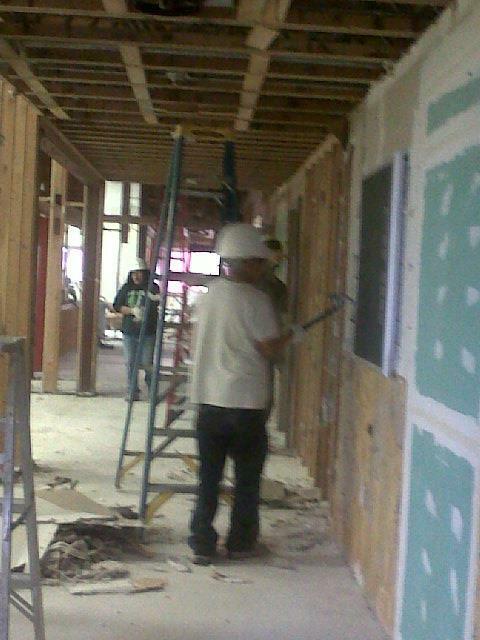 You an see them building the angled wall into my old room and put the principals office / receptionists office in my old room. 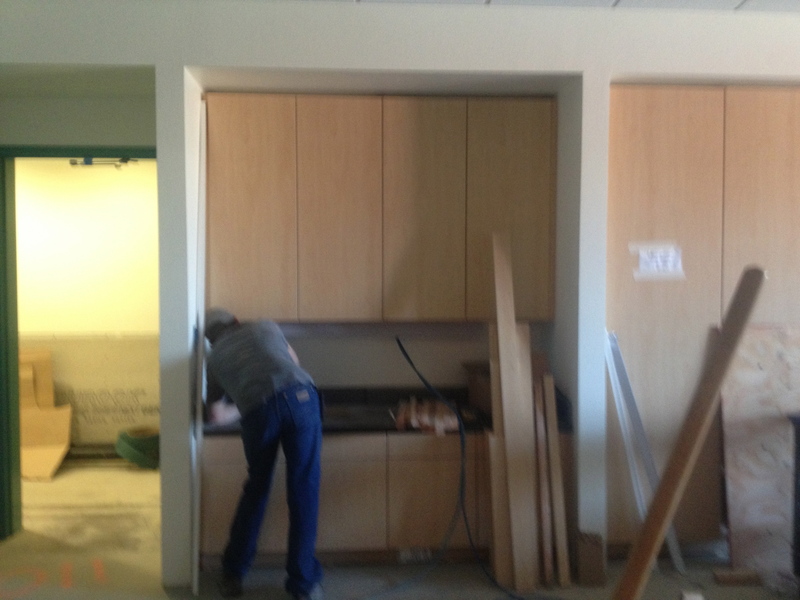 The last picture you can see them working on the drinking fountains. 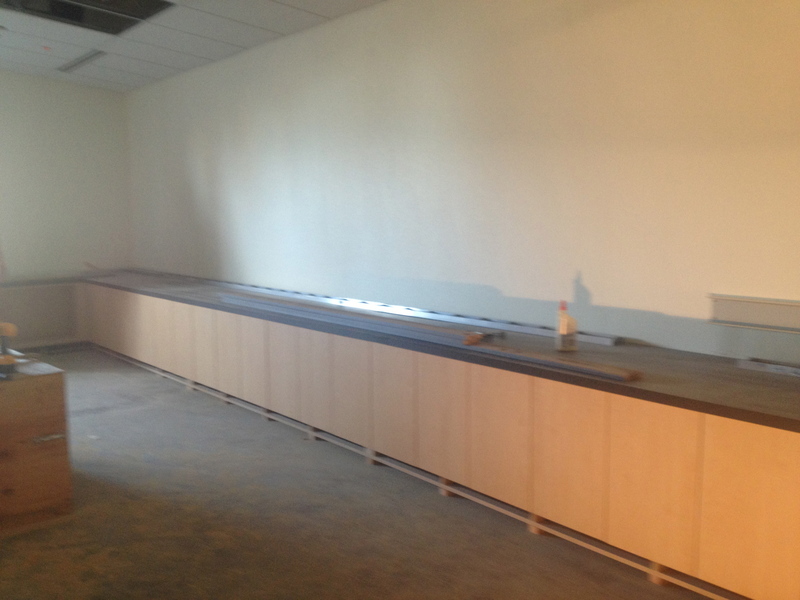 Now let’s skip ahead to this spring after the drywall is put up. 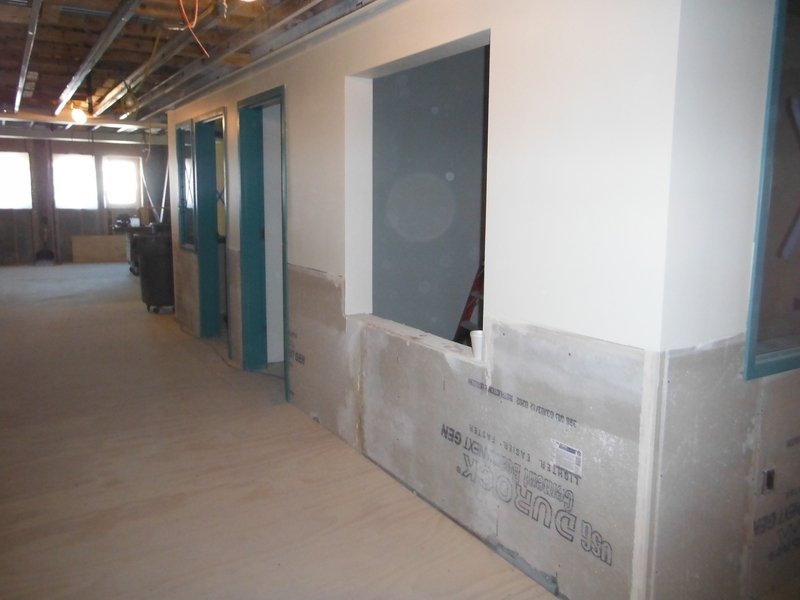 The first picture is the main hallway angled looking towards where the K-1 room used to be and is now the principals office and the receptionist office. If you turn right leads down into the lower-elementary hallway. 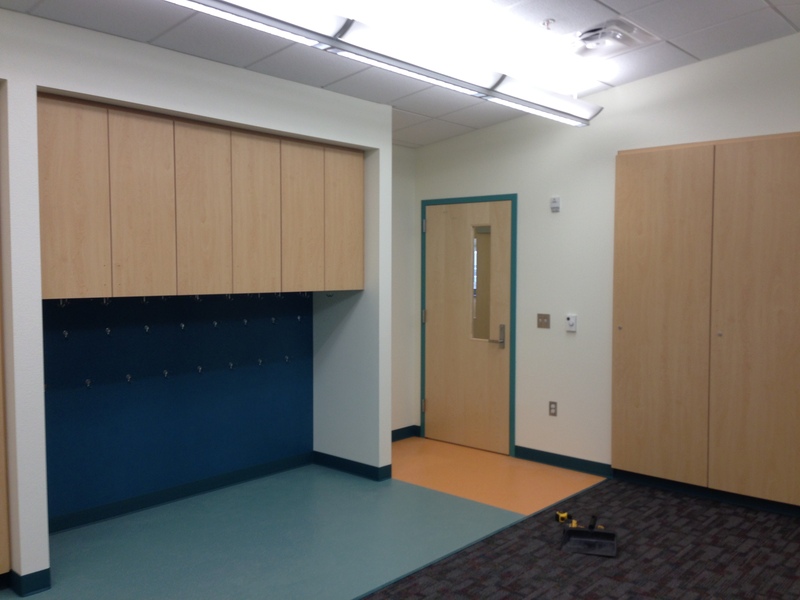 The next picture is looking in towards 2/3rd grade room. 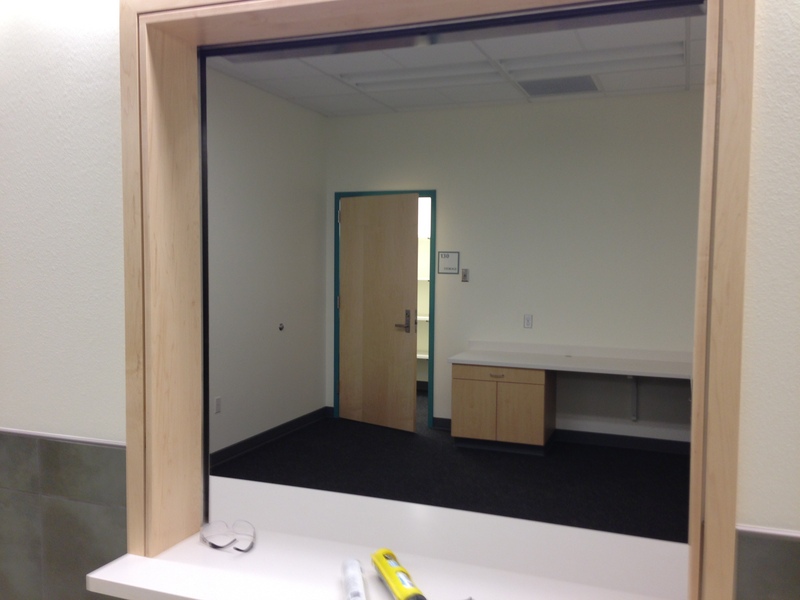 And the last picture is looking out from my classroom door. 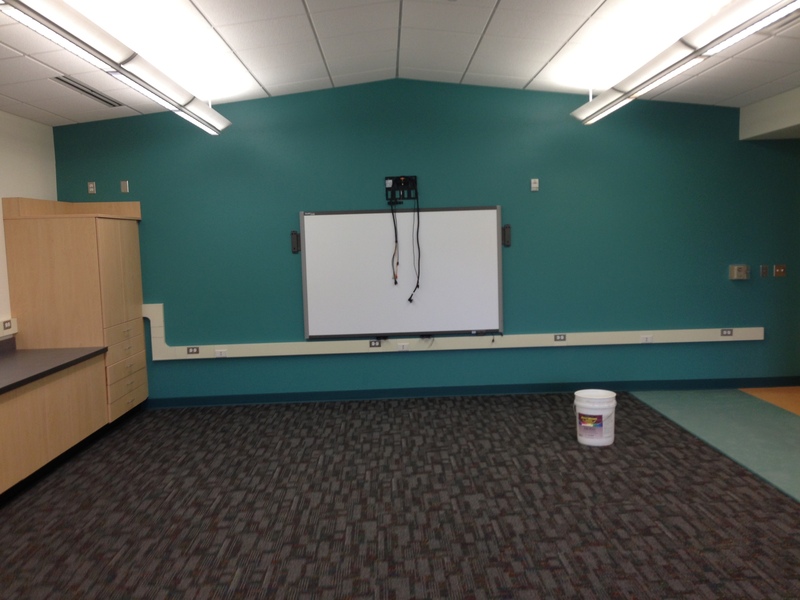 And now the moment you’ve all been waiting for, the beginnings of my new classroom!!! 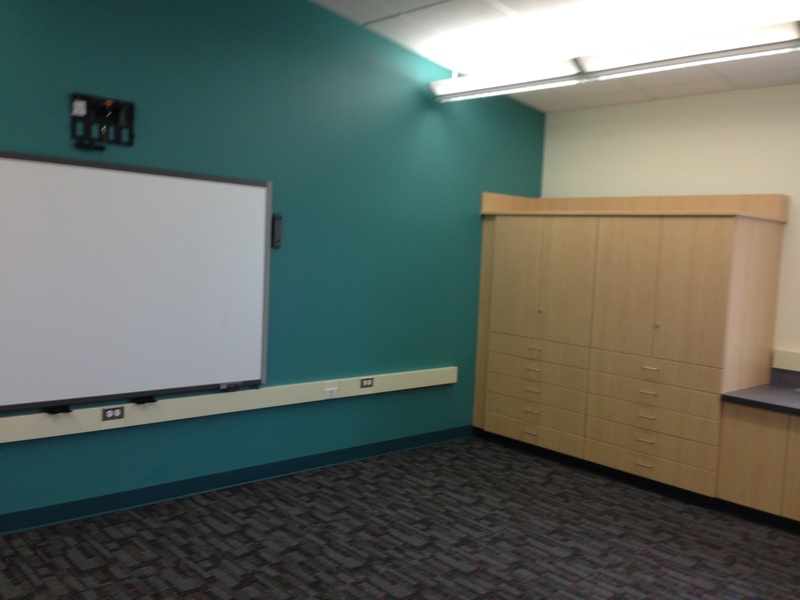 The green wall is the front of the room where my smart board is now at. 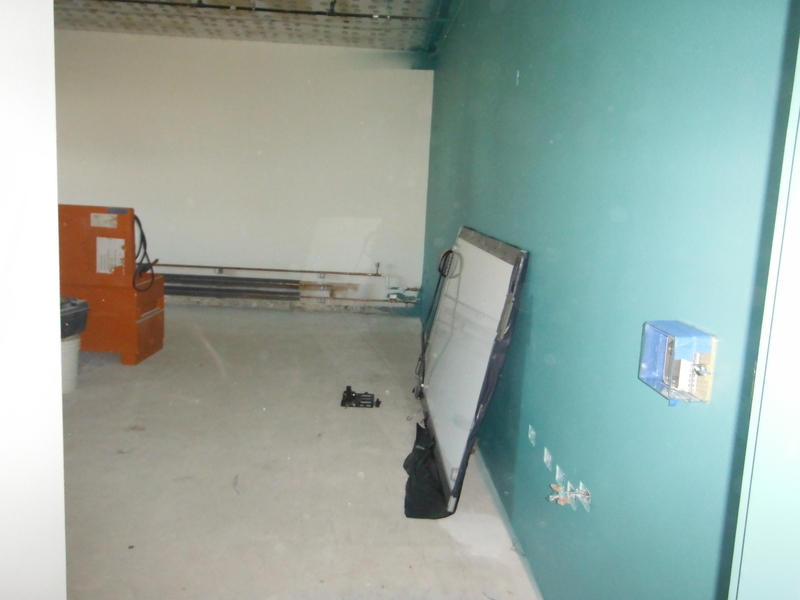 The next pictures shows you the progression of how the room ended up. 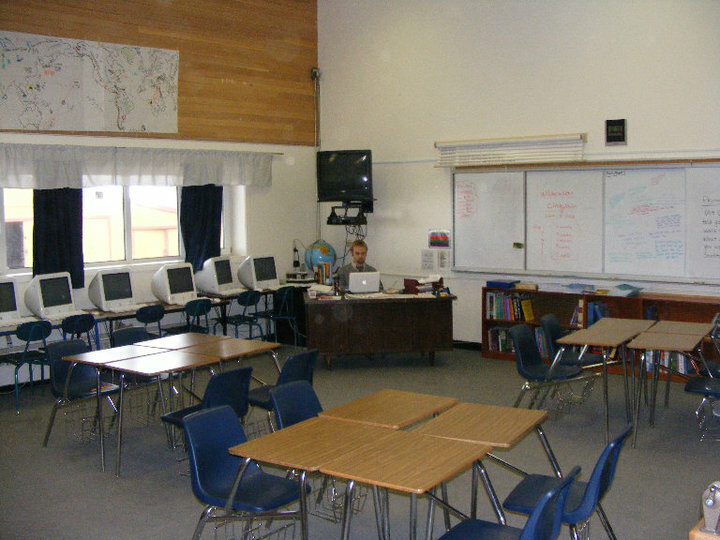 And finally the room is pretty much completed when I come into the school for the first time after being gone for over a year. 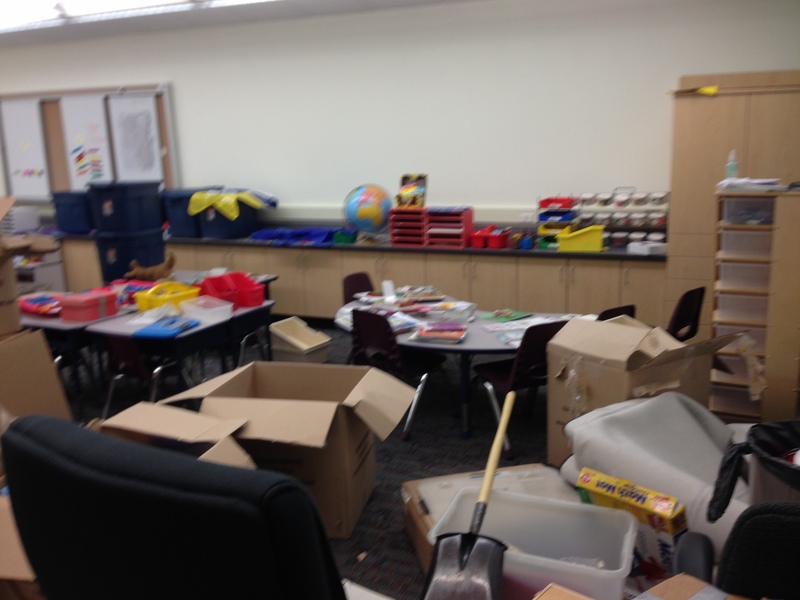 We were not allowed to take possession of our classrooms until this last Saturday. School was supposed to start the next Wednesday. We were able to get the start of school pushed back until today (being Friday). First the furniture came into my room and I organized it how I wanted. 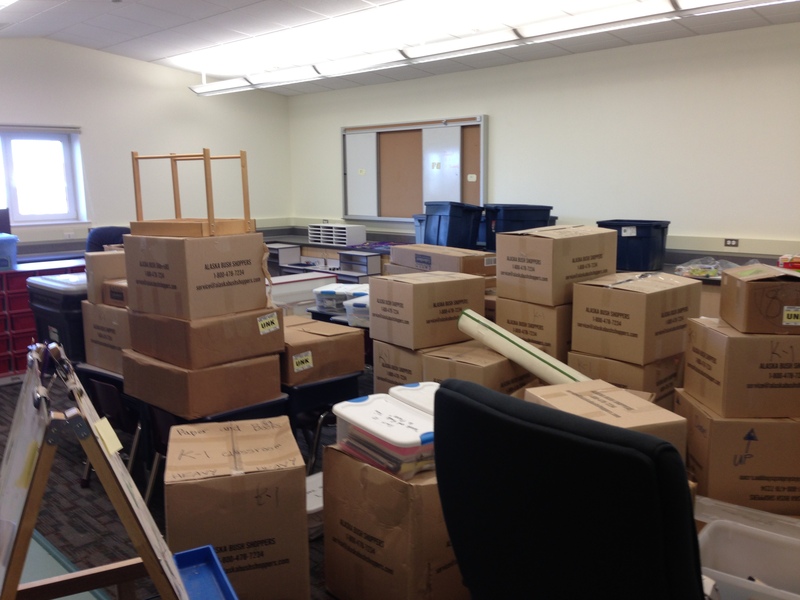 Then the boxes came full of all the stuff from the previous year of school, and the totes of my personal classroom items came in. 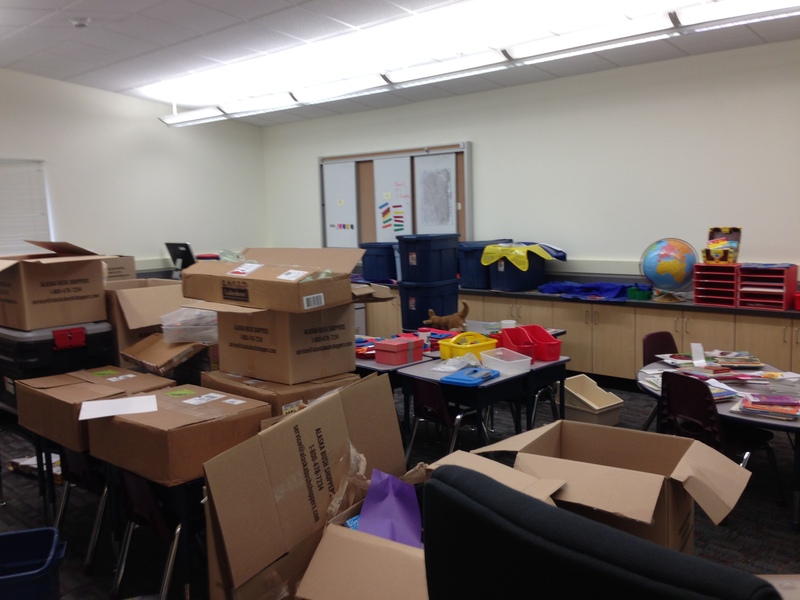 I had a sea of boxes and less than a week to have a classroom ready to go for the first day of school. 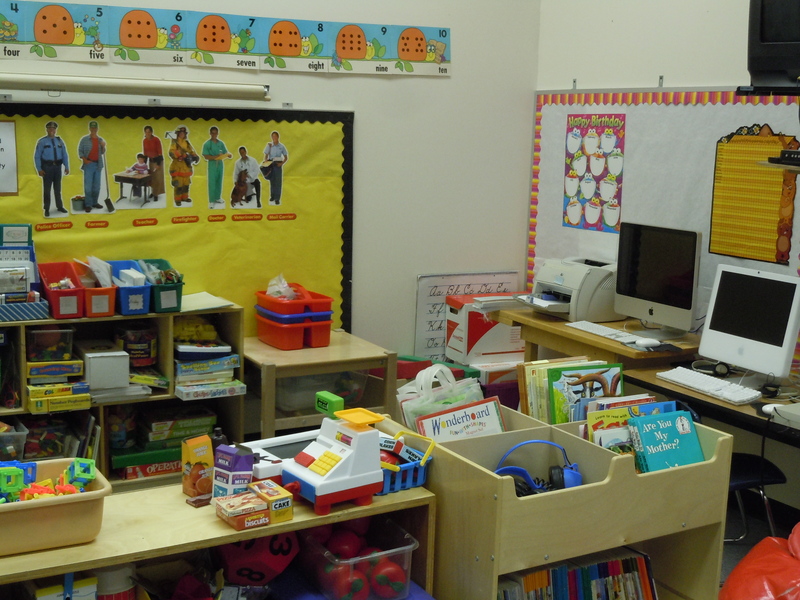 In the end we all managed to have our classrooms ready in time for the first day. 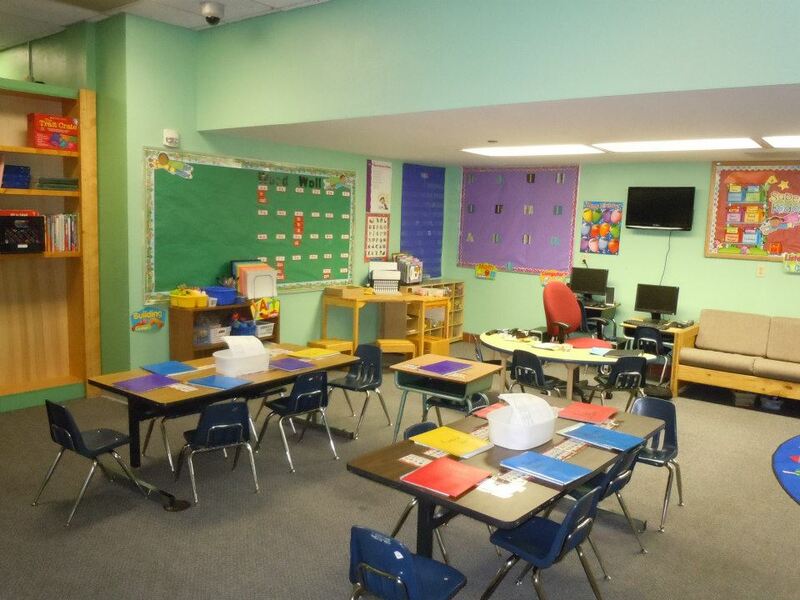 And the school looks AMAZING. 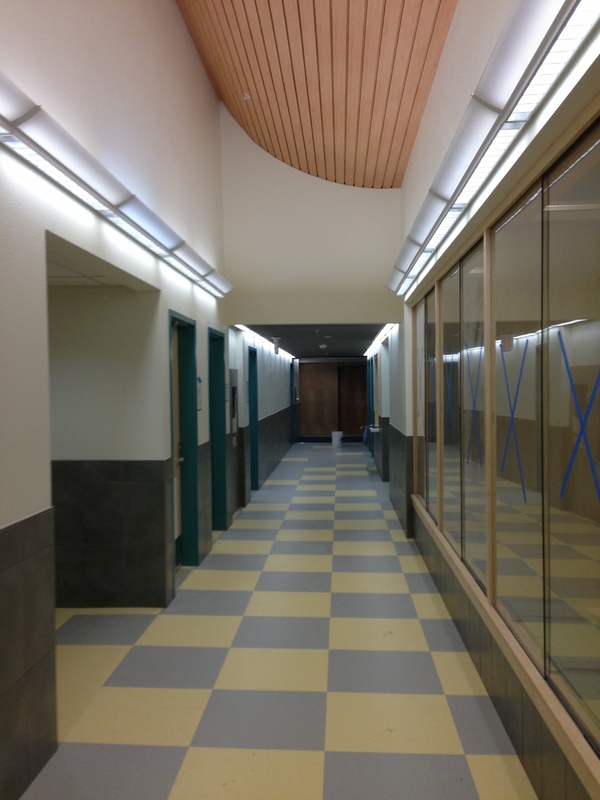 I will leave this INSANELY long update with pictures of the new school starting with the main hallway which is amazing. 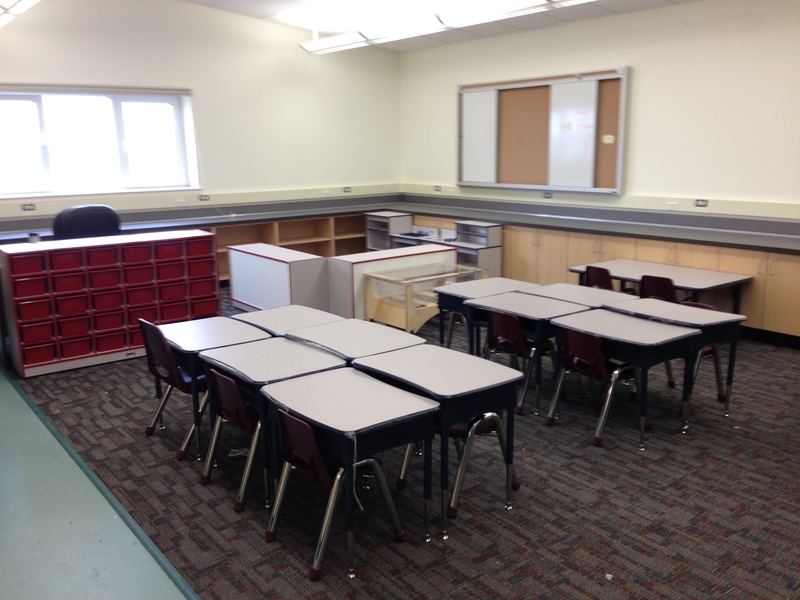 For those of you who are new to teaching, laying out / designing your classroom can be a bit intimidating. 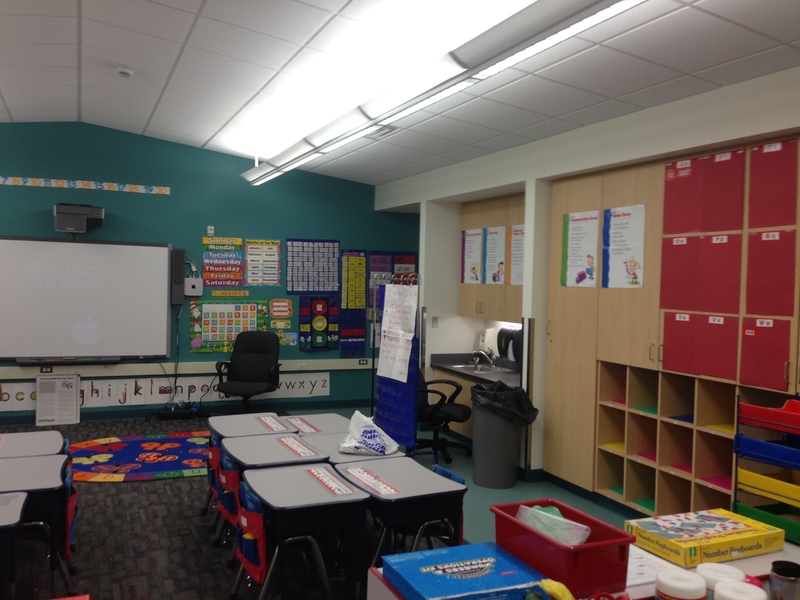 Here are some pictures of what my previous classrooms looked like on the first day of school. 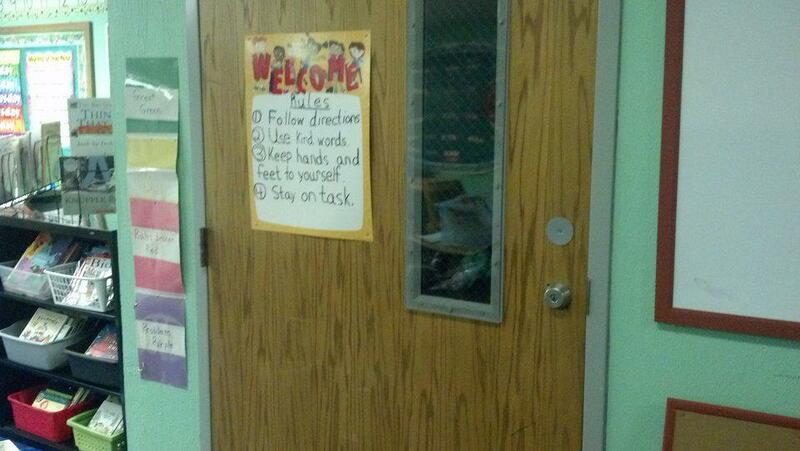 The key is not to put too much up on the first day. 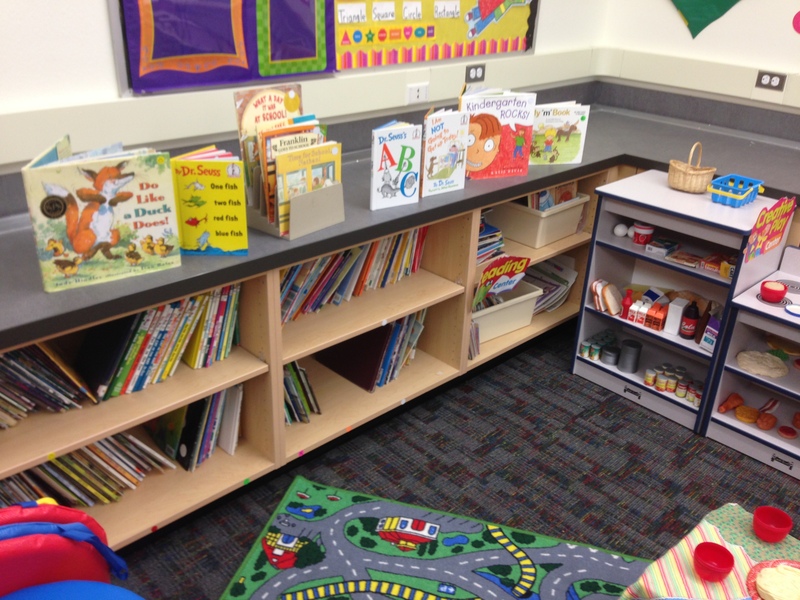 Make enough space to allow for your instruction to guide the displays. 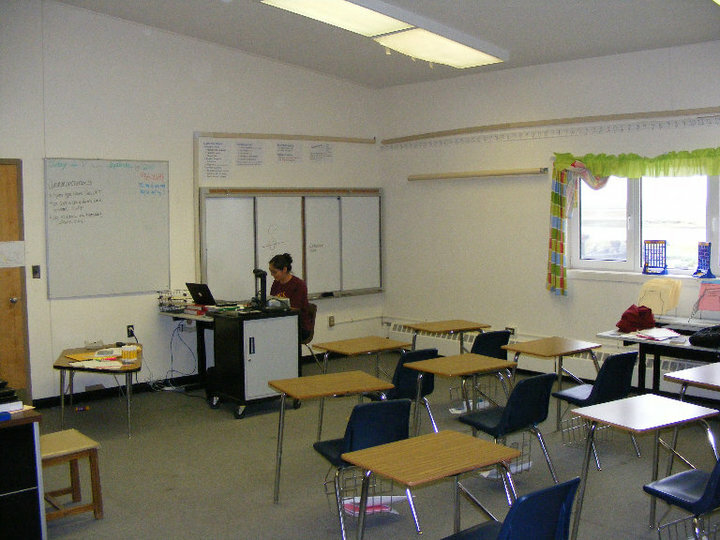 If you put too much up, you’ll find students can be over-whelmed.